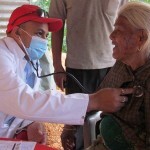 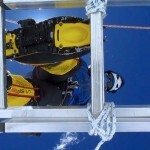 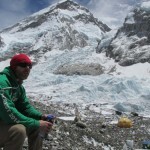 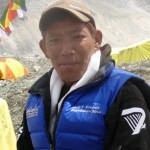 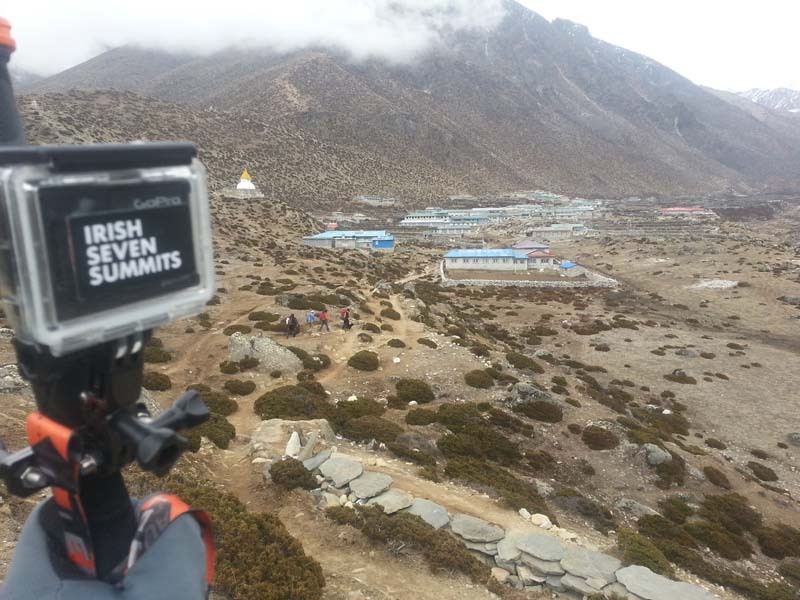 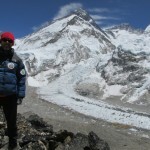 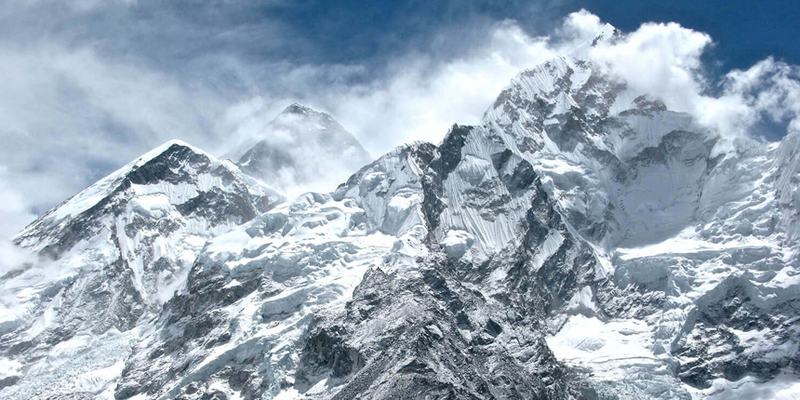 Everest is the highest of the Seven Summits and the highest peak on the planet. 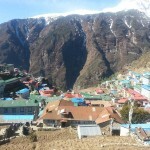 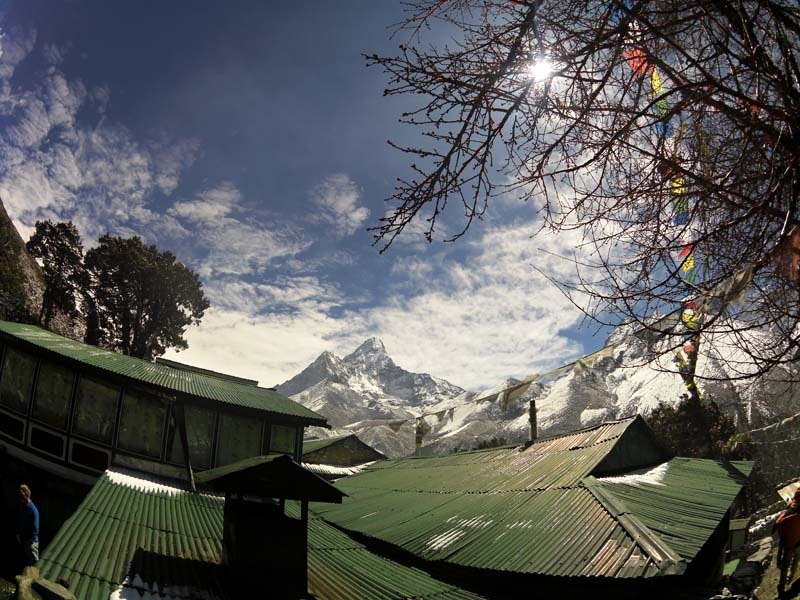 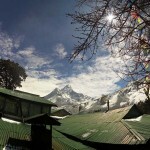 First climbed in 1952 by Edmund Hillary and Sherpa Tenzing, it is perhaps the most iconic mountain in the world. 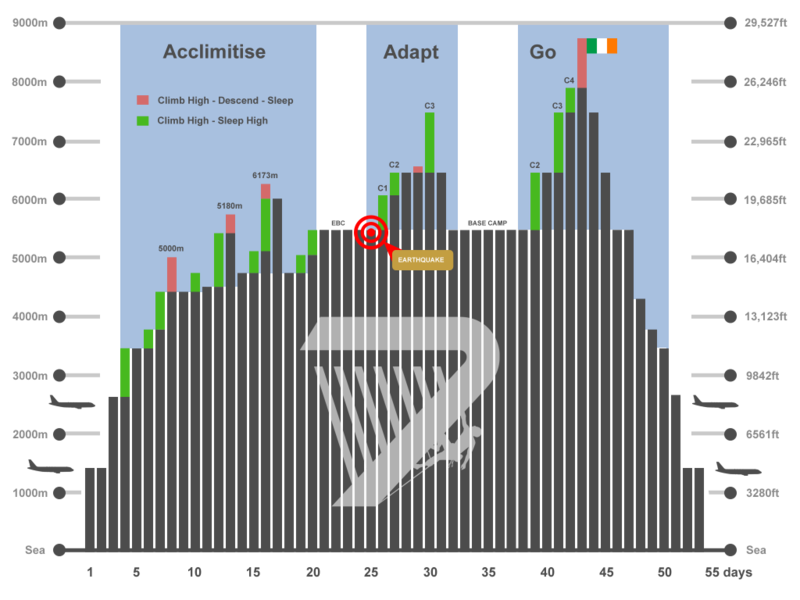 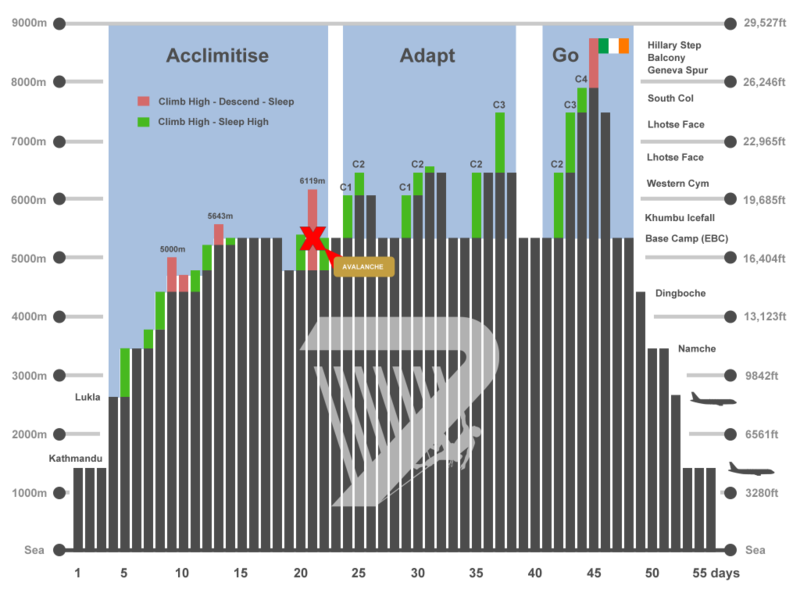 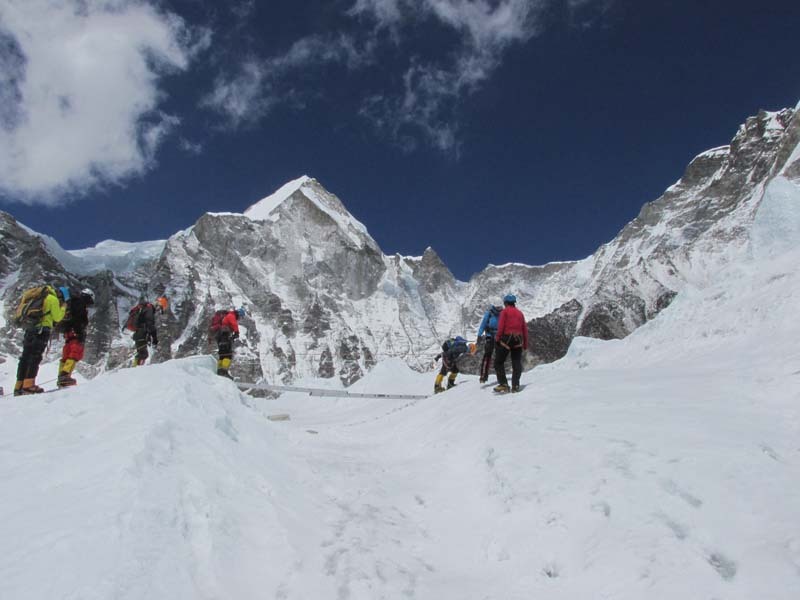 We left Everest until the end to ensure that we progressively built up the skill, nerve and expedition knowledge needed to be successful. 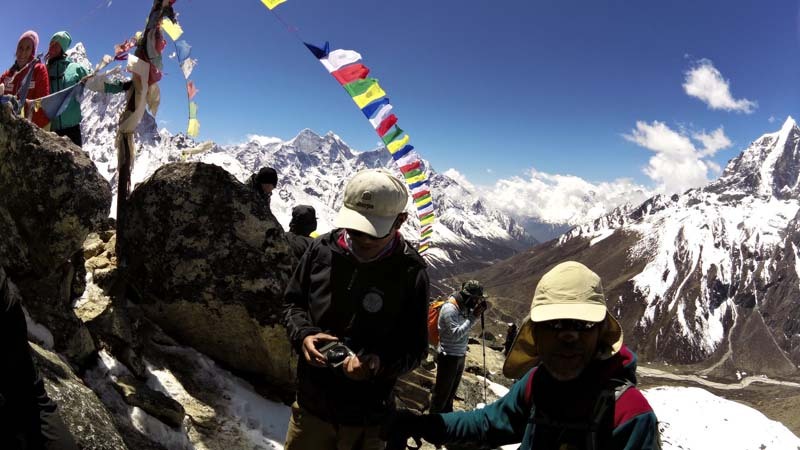 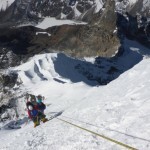 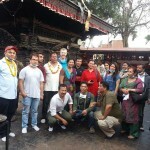 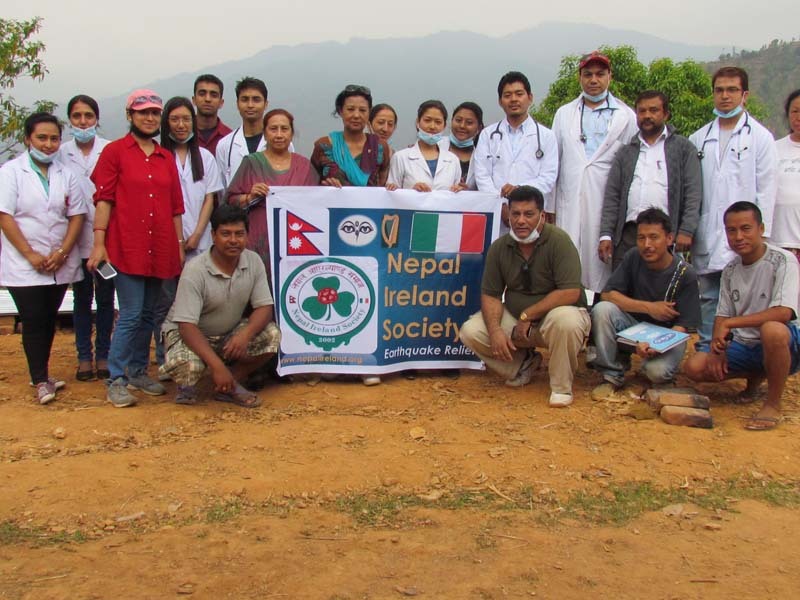 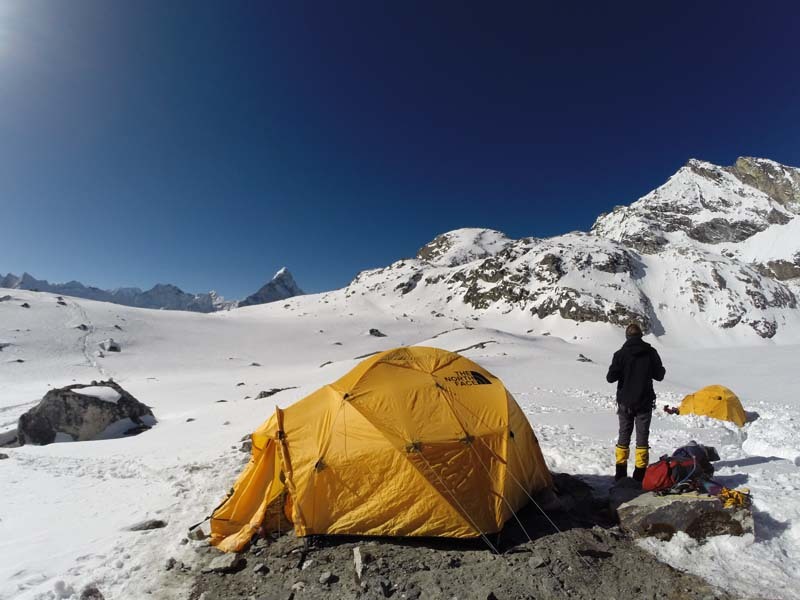 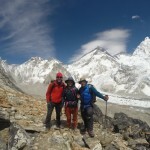 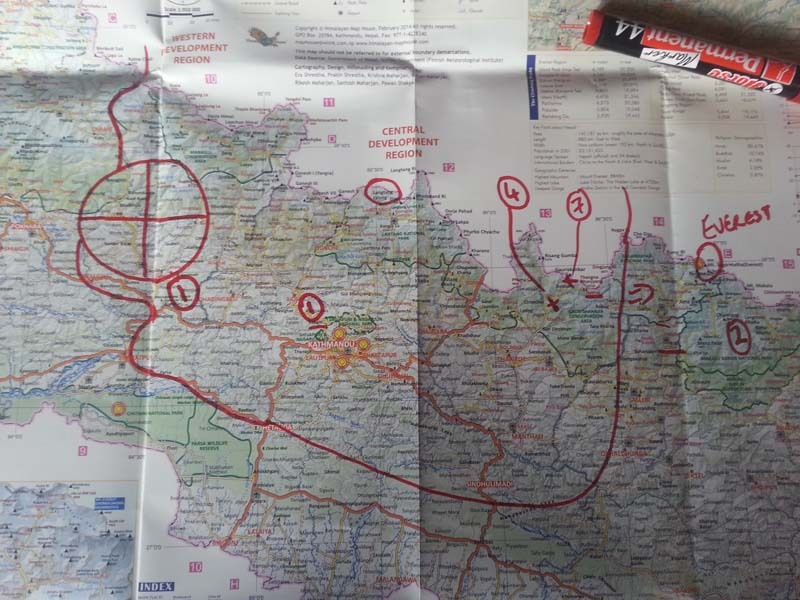 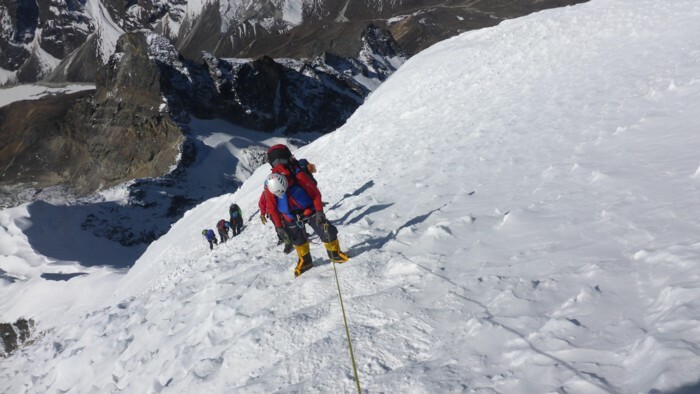 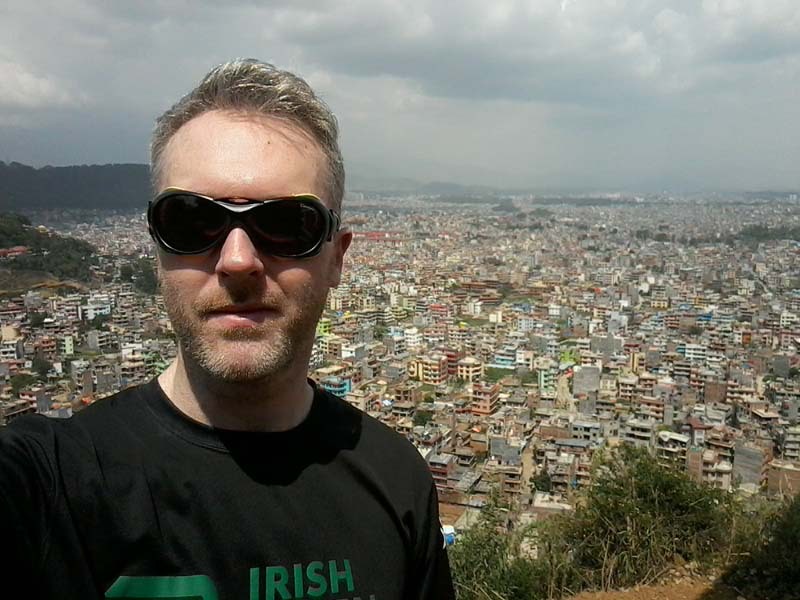 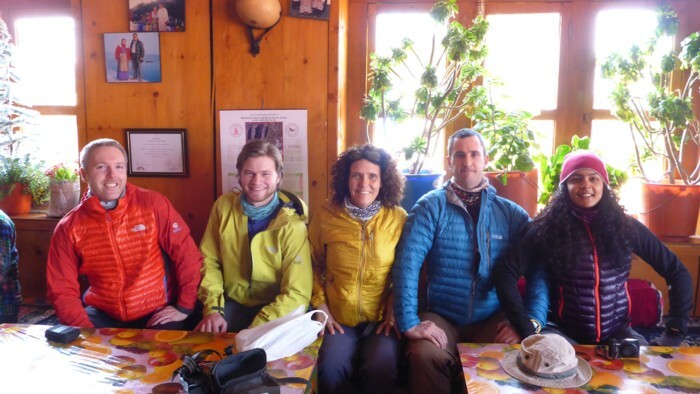 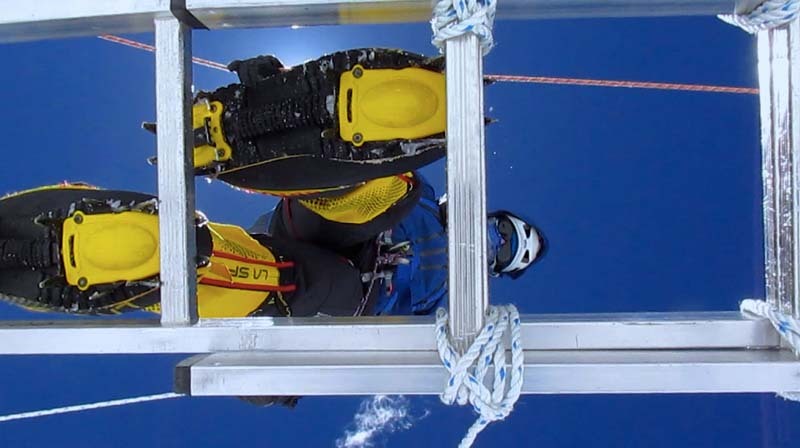 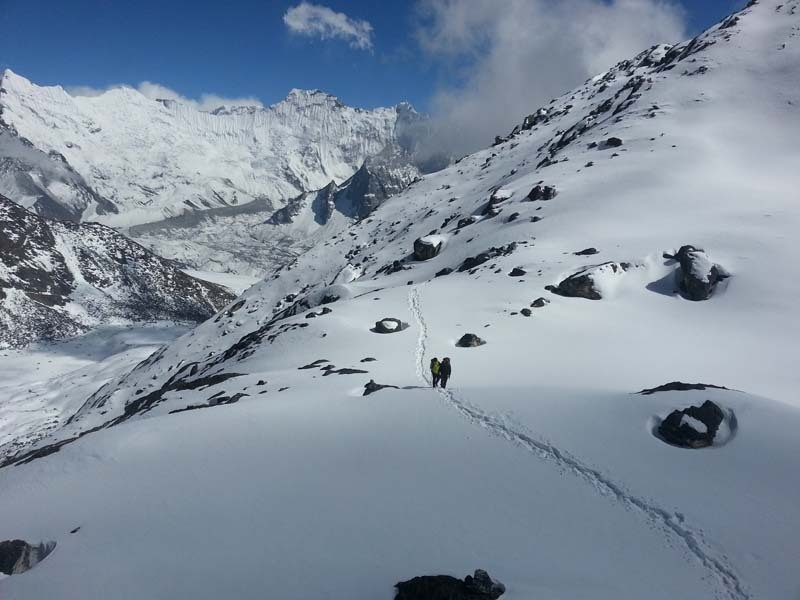 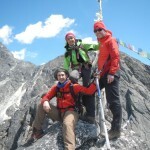 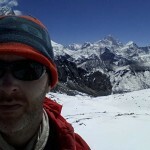 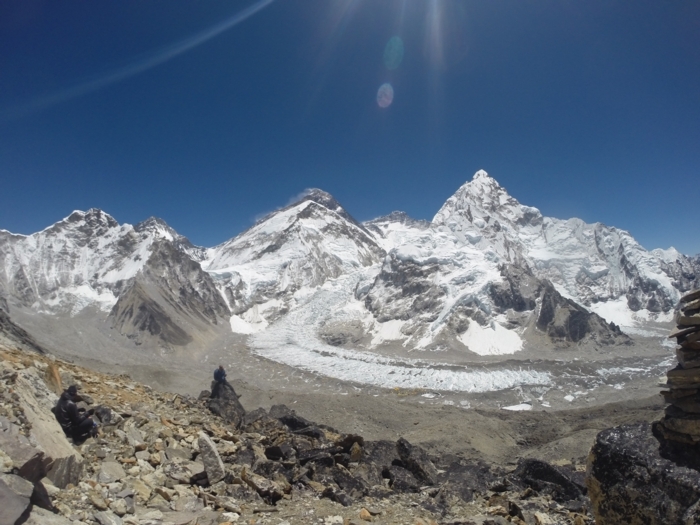 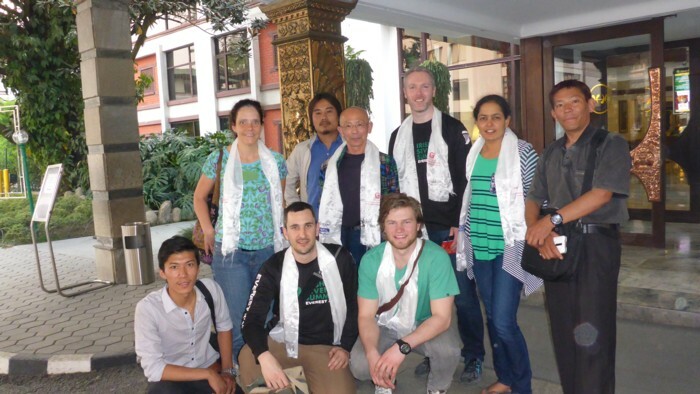 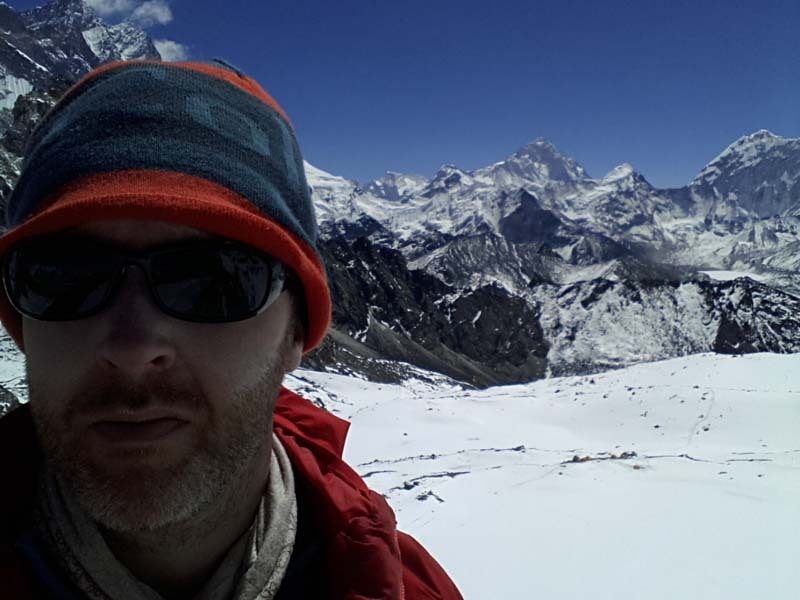 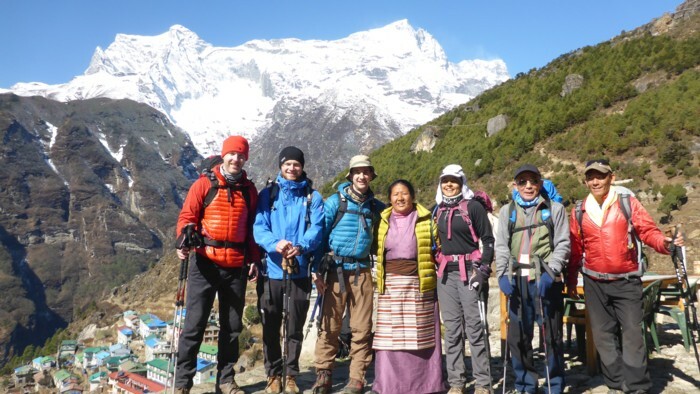 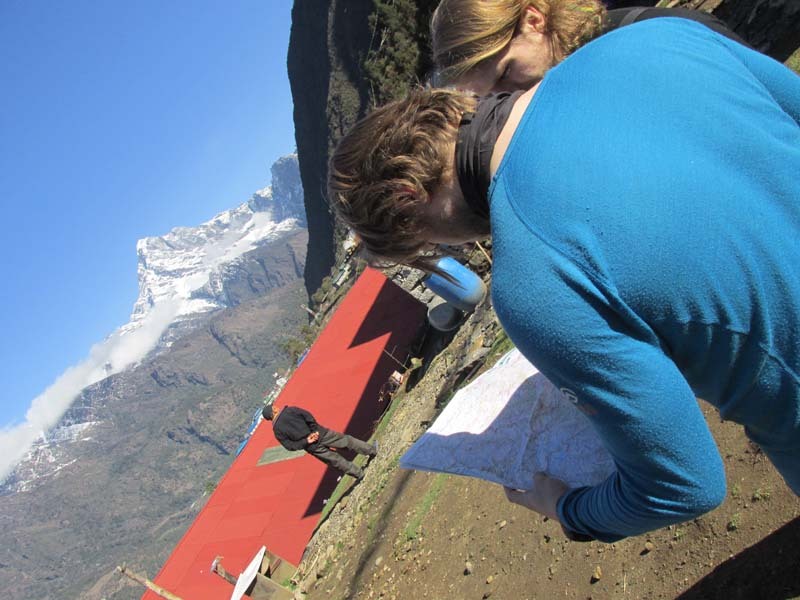 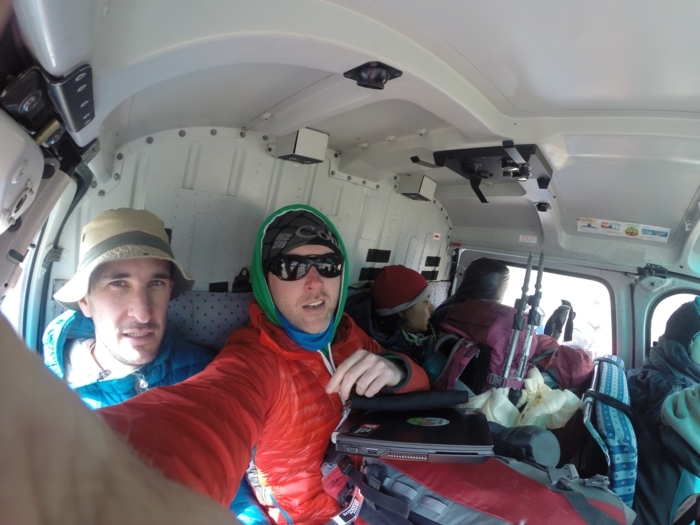 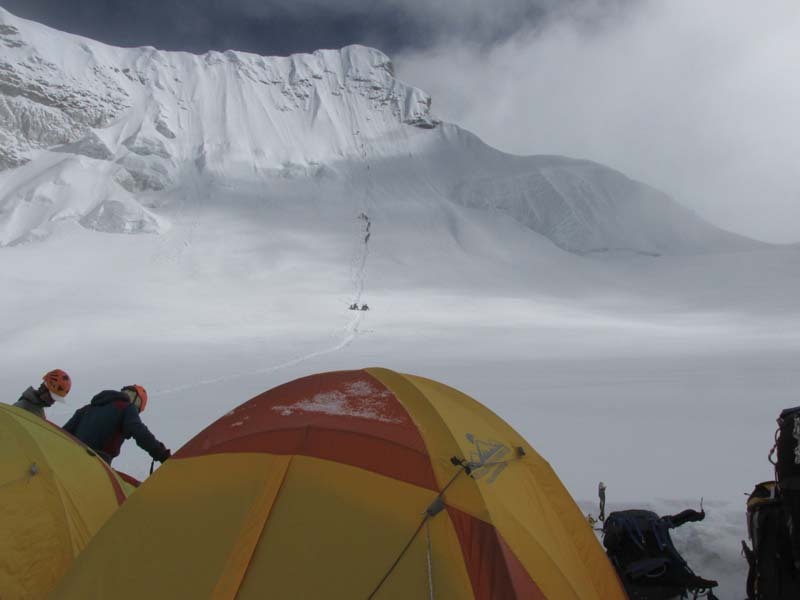 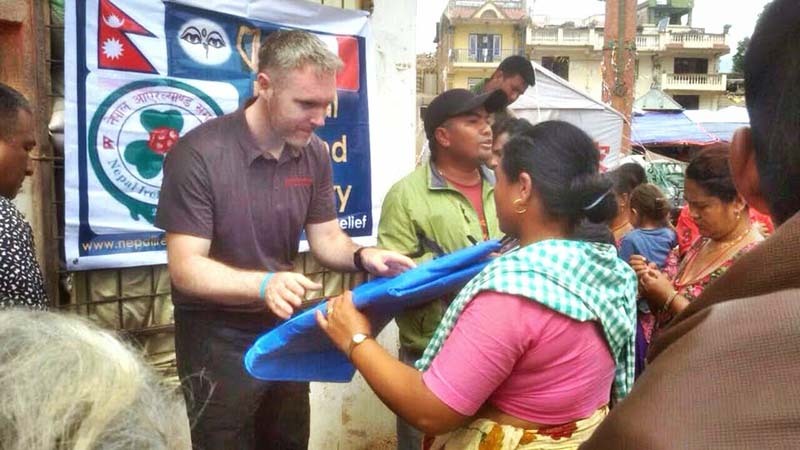 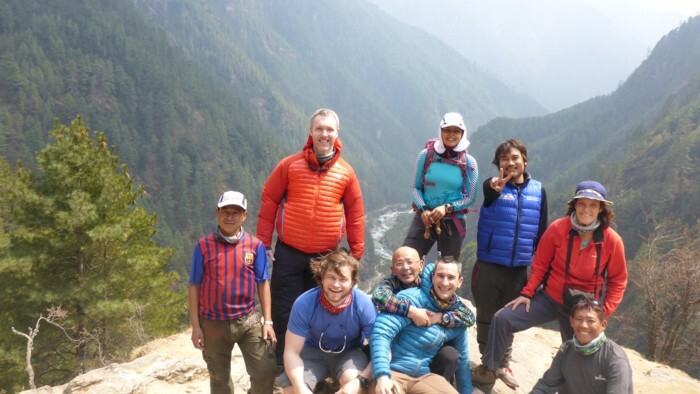 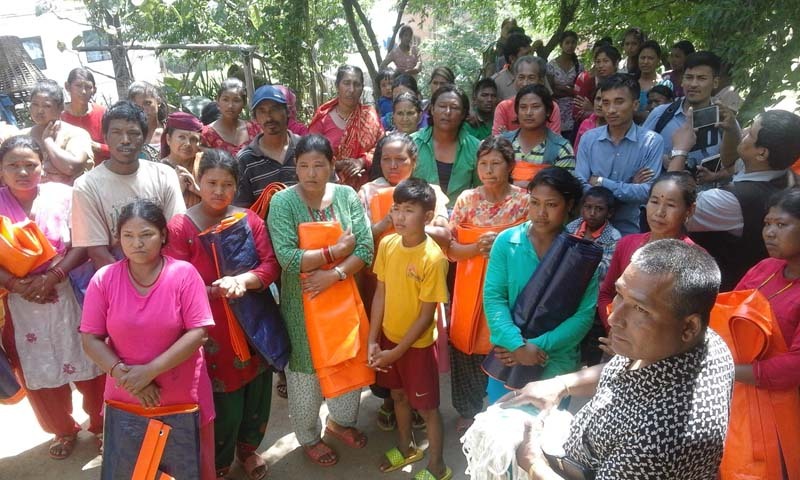 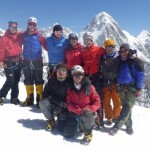 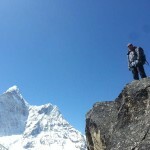 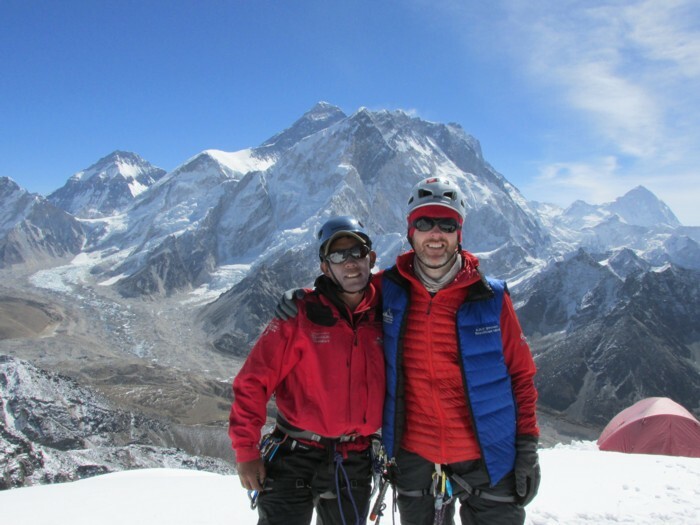 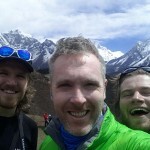 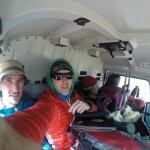 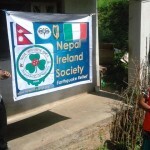 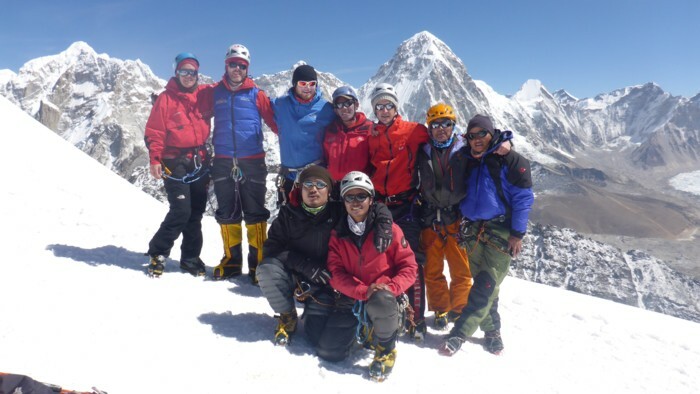 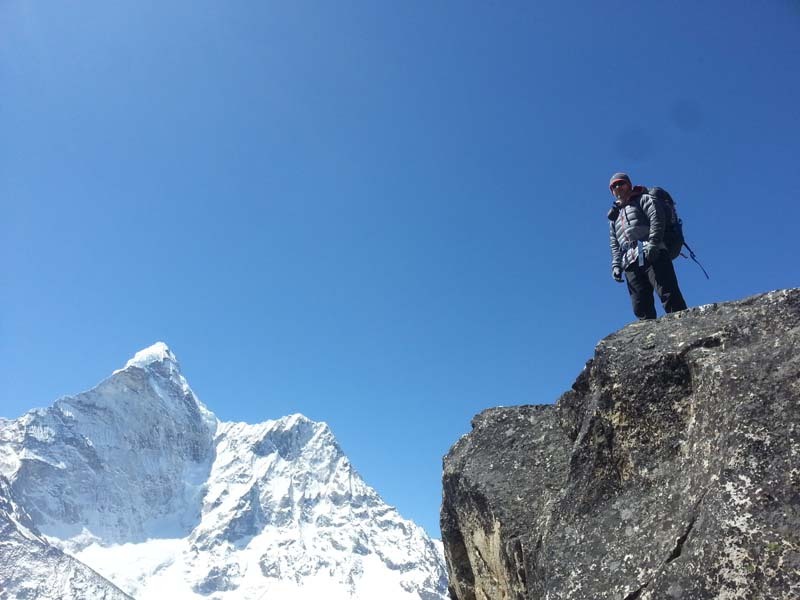 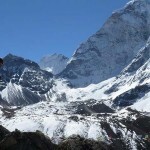 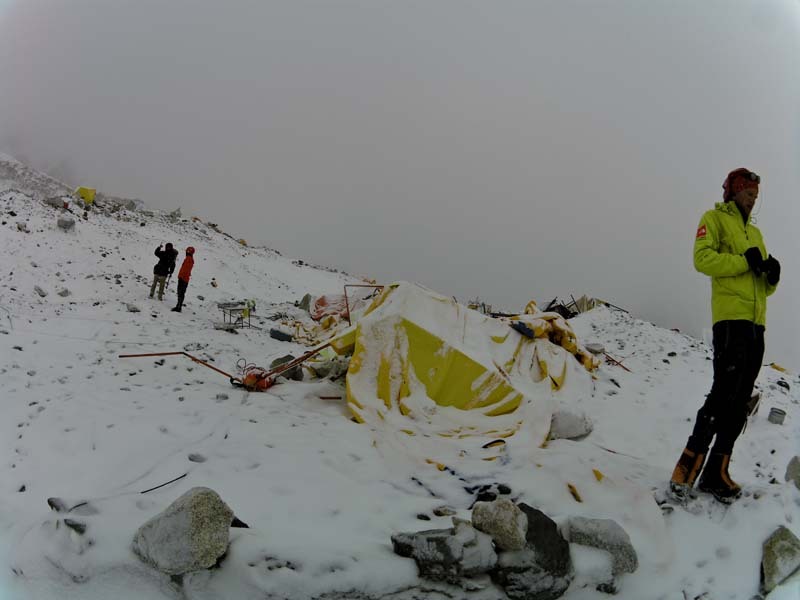 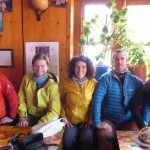 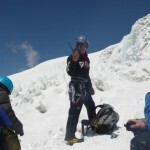 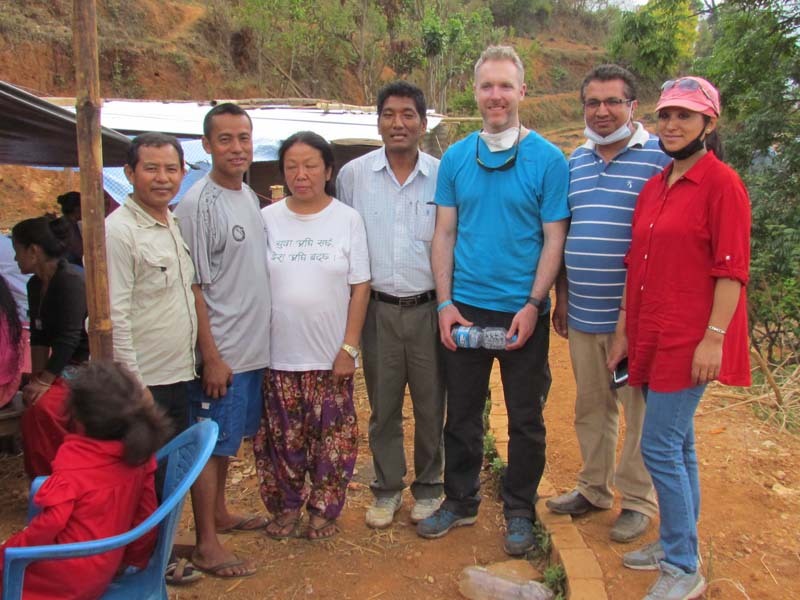 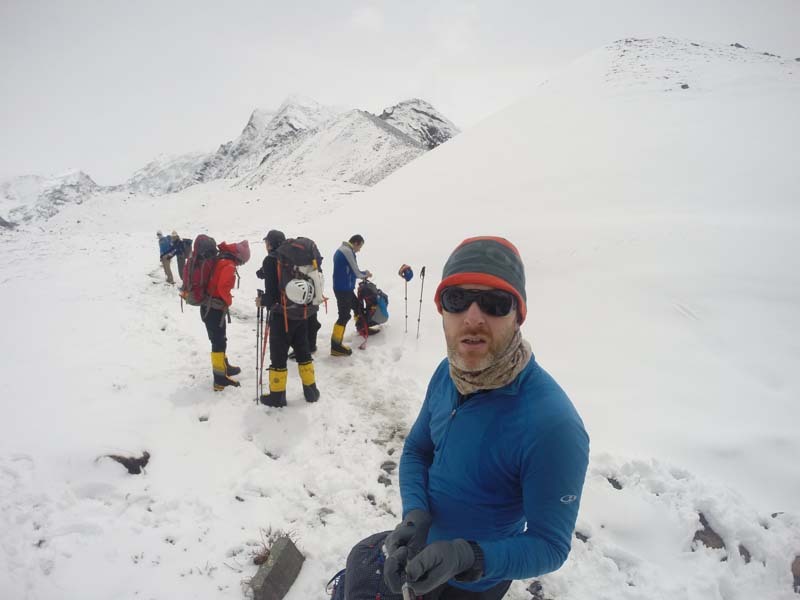 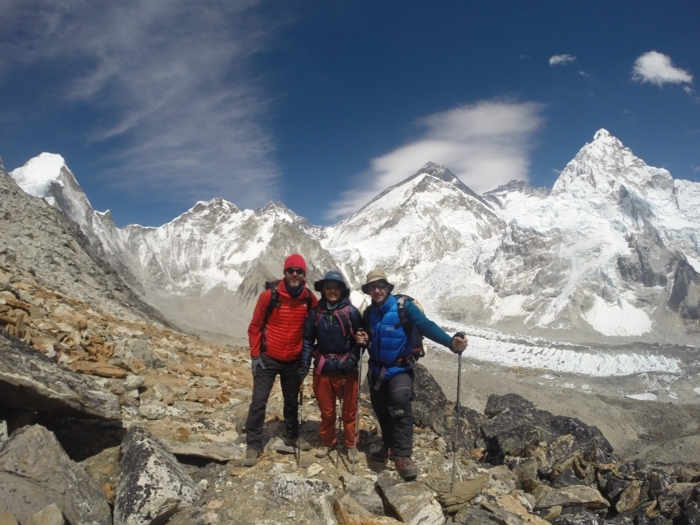 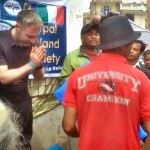 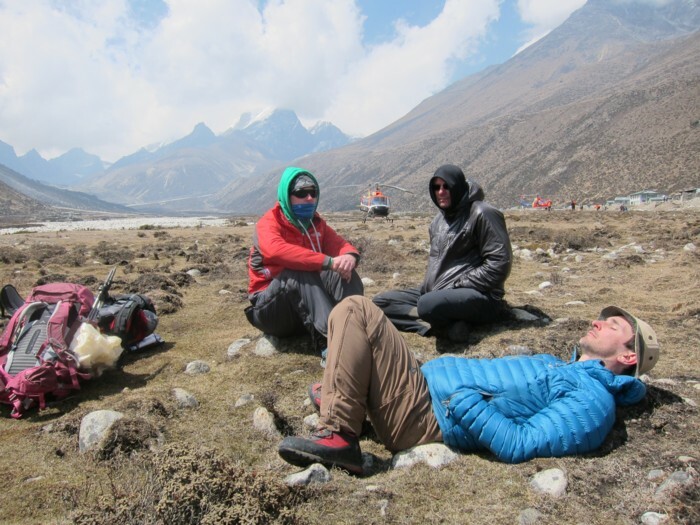 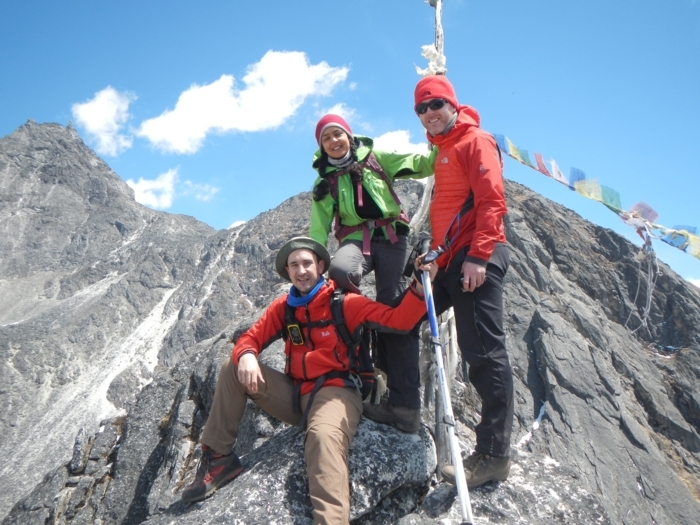 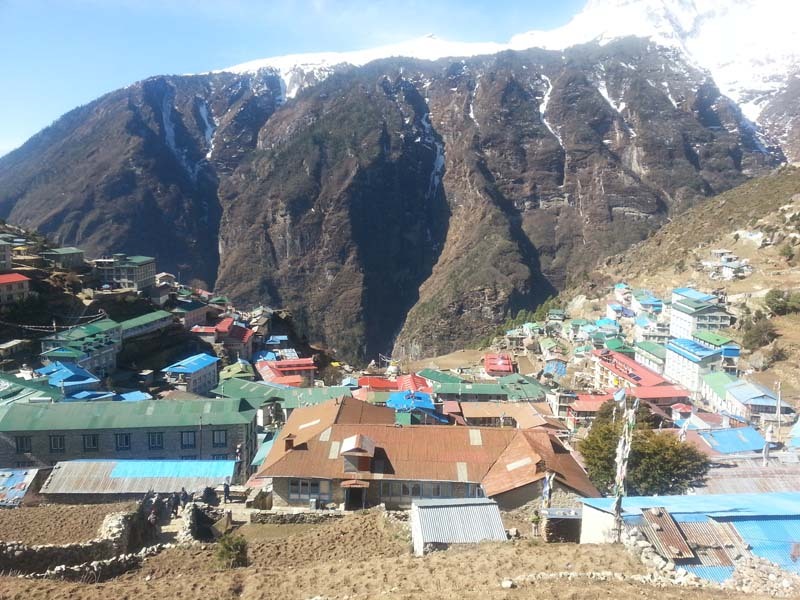 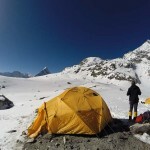 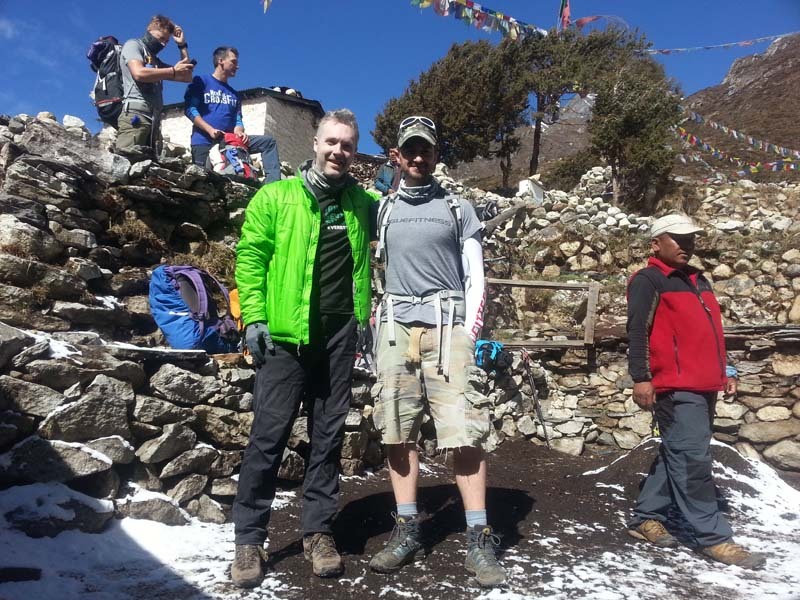 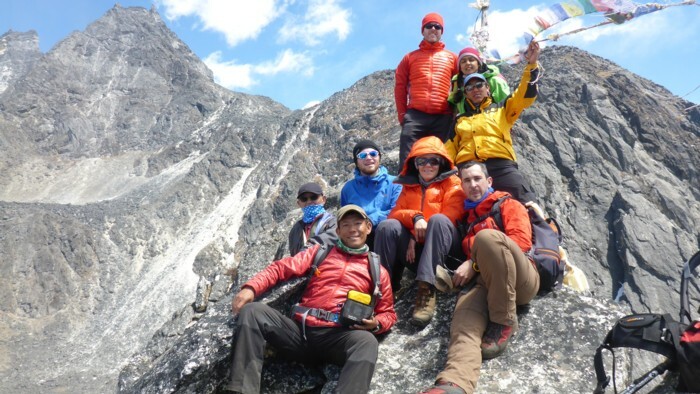 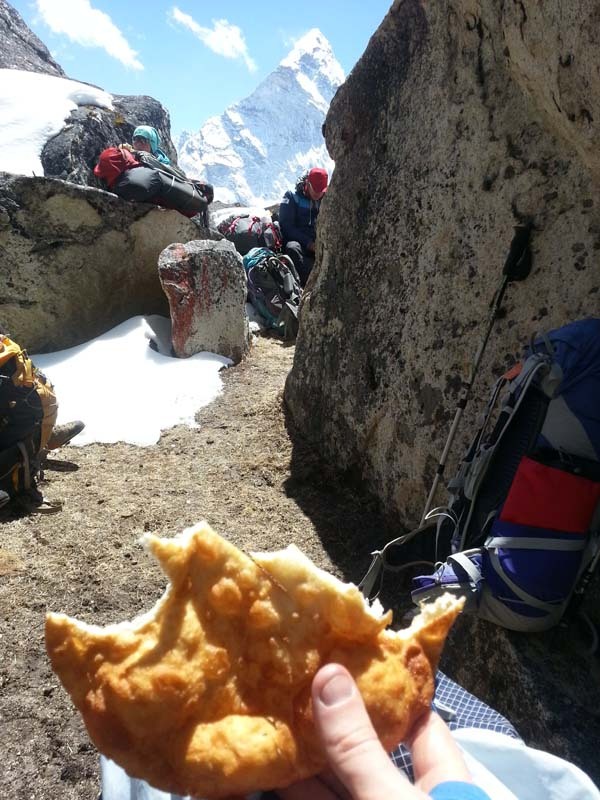 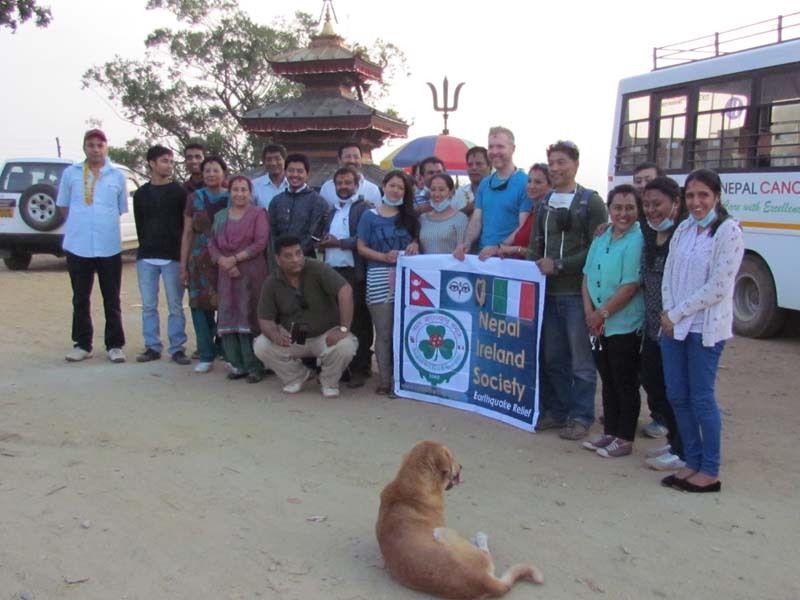 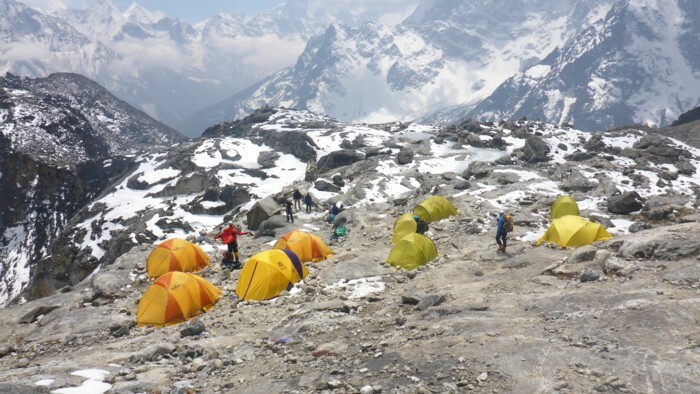 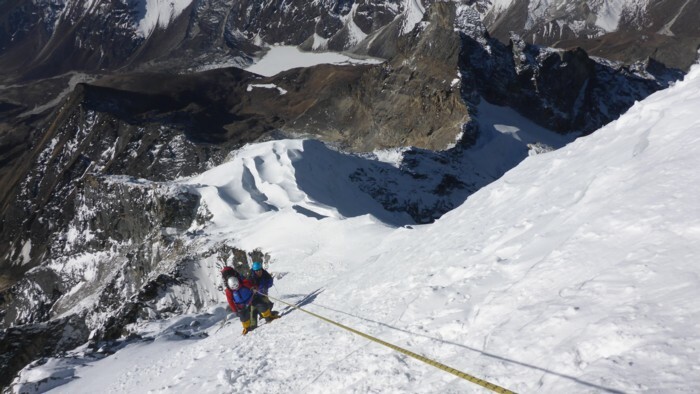 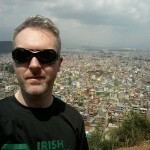 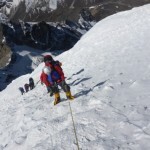 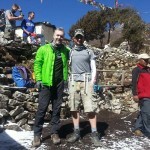 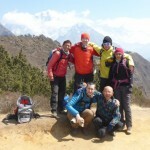 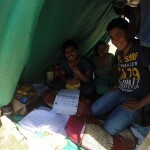 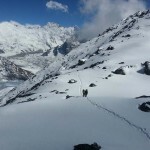 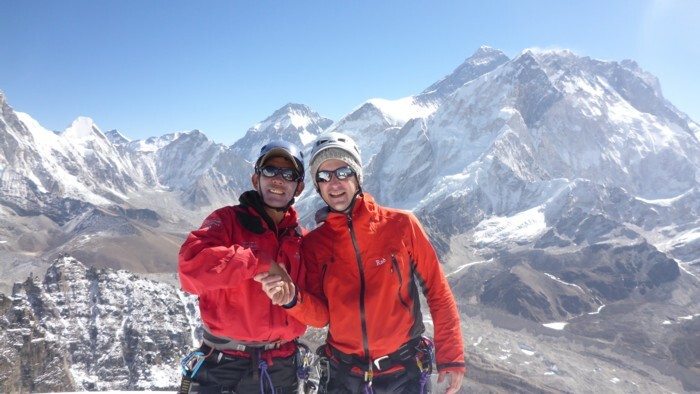 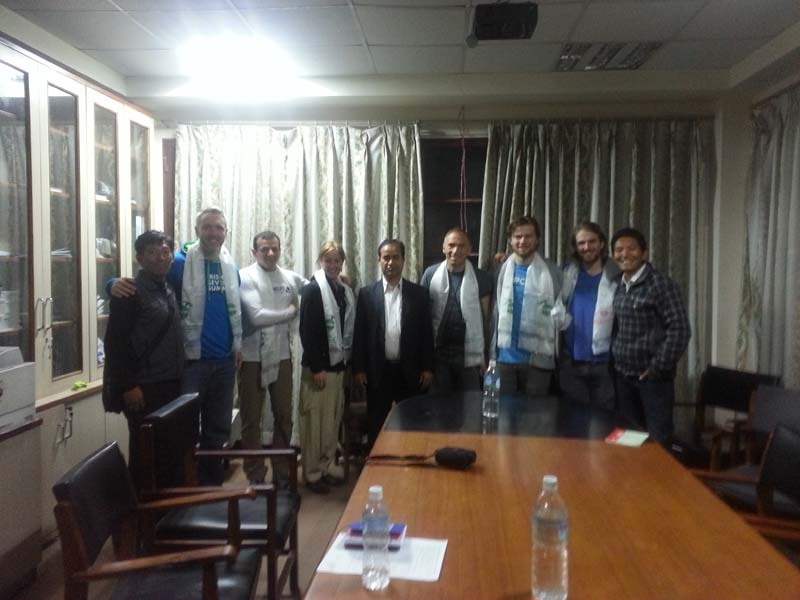 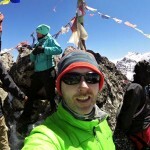 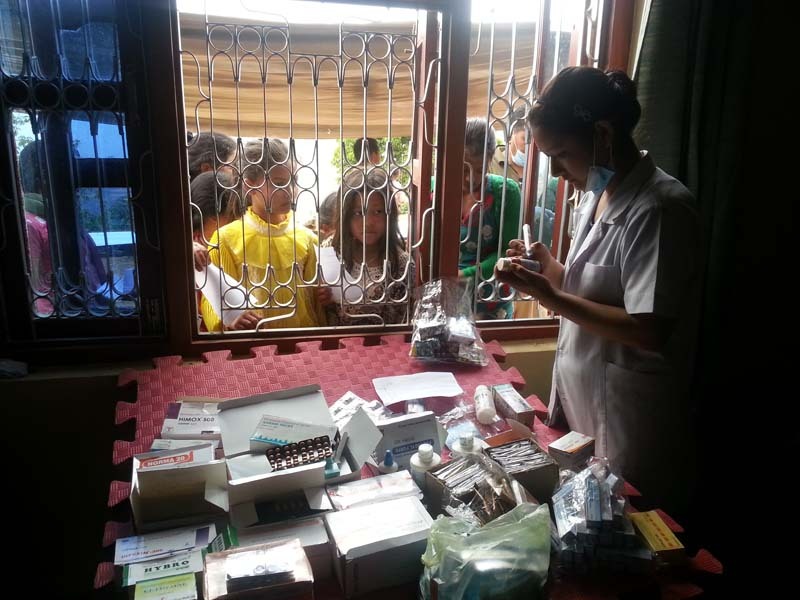 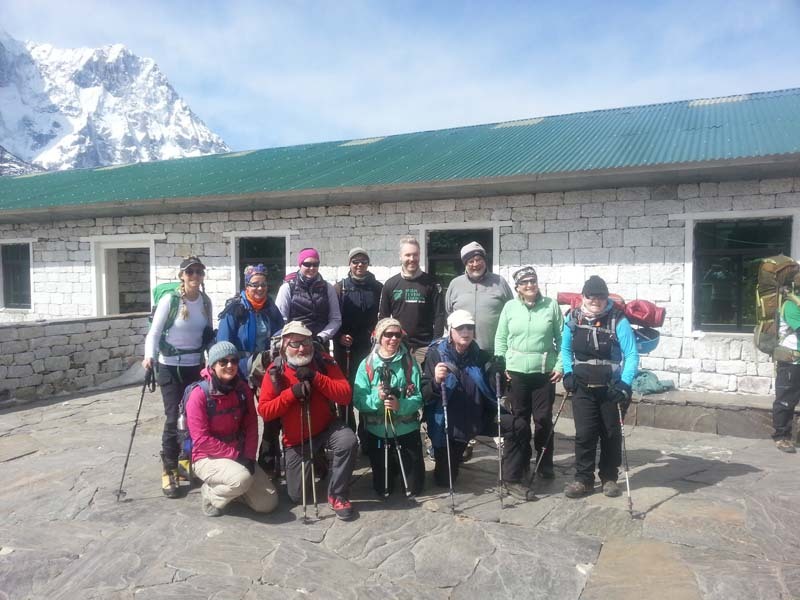 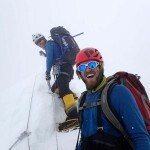 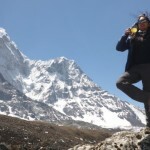 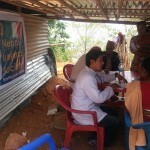 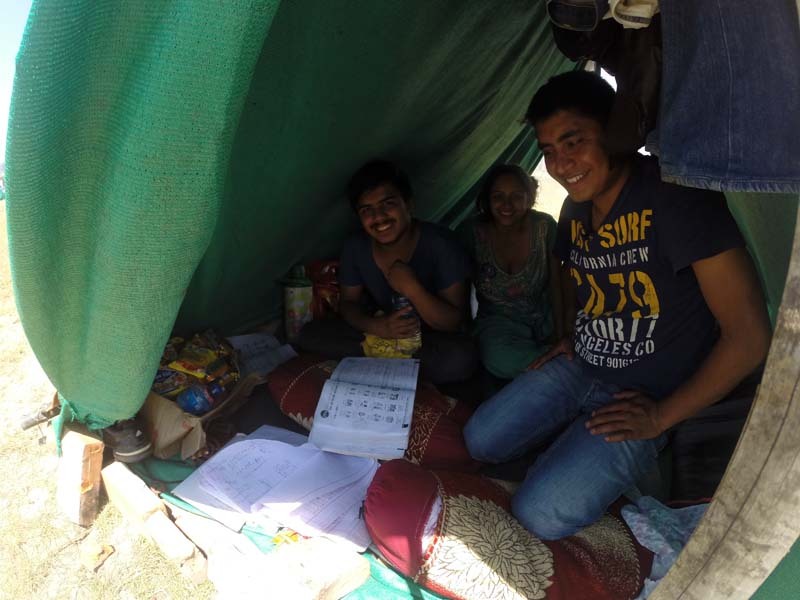 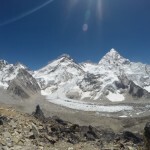 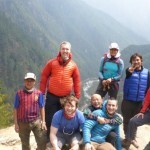 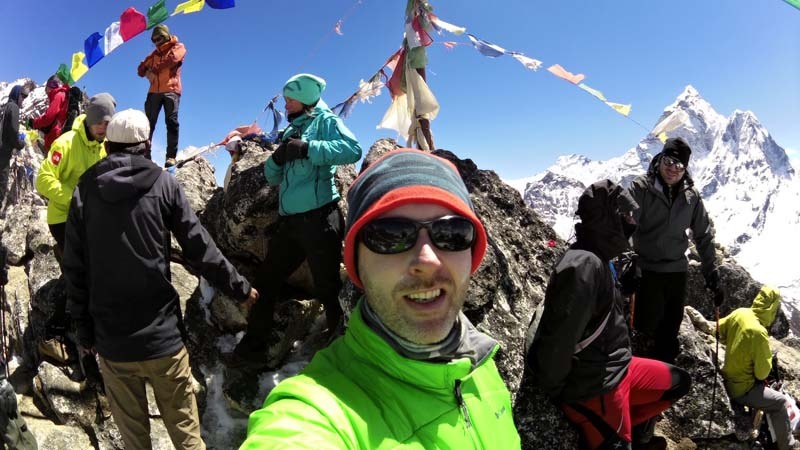 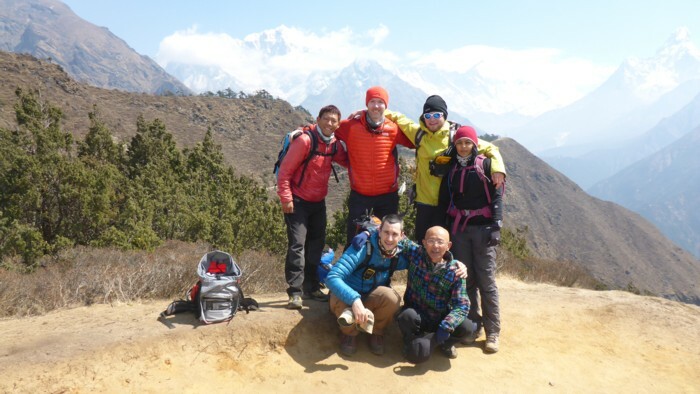 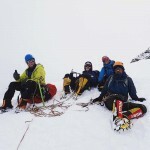 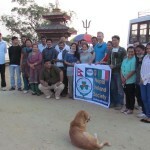 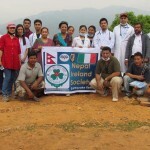 Our first attempt was in 2014 when Paul, Niall and Madhura joined the Ascent Himalayas expedition team to attempt a climb via the south side of the mountain. 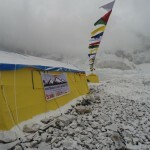 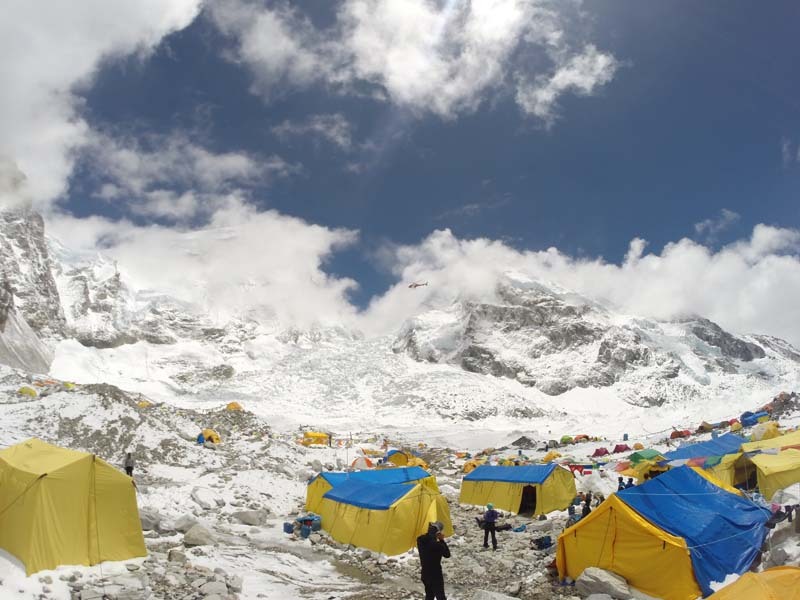 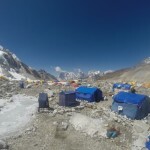 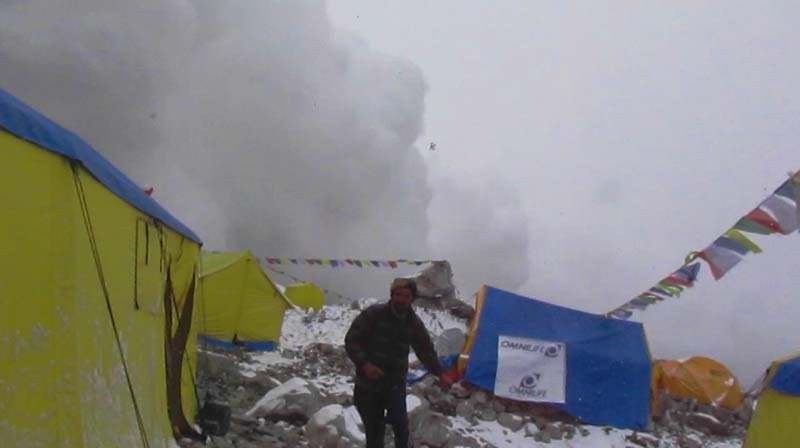 However 20 days into the expedition a massive avalanche struck on the icefall between Base Camp and Camp 1, killing 16 Sherpa and effectively stopping all climbs on Nepal side of Everest for that year. 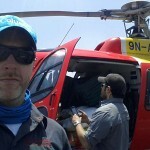 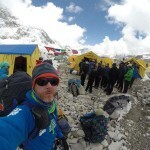 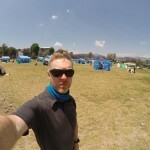 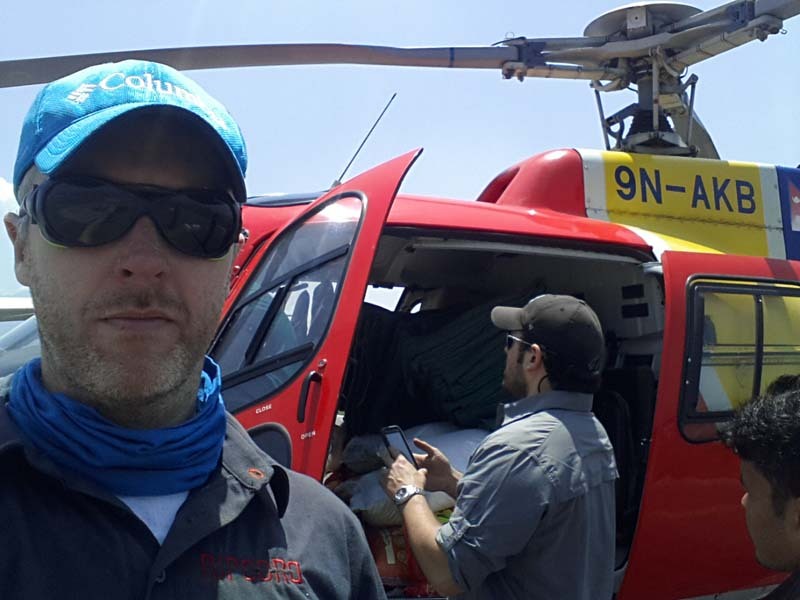 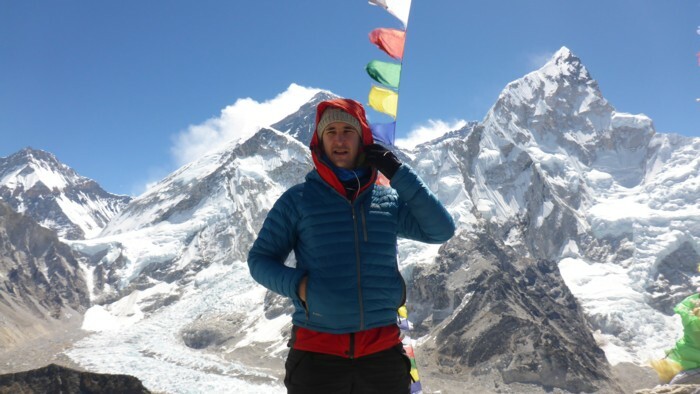 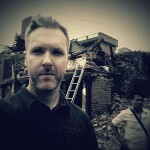 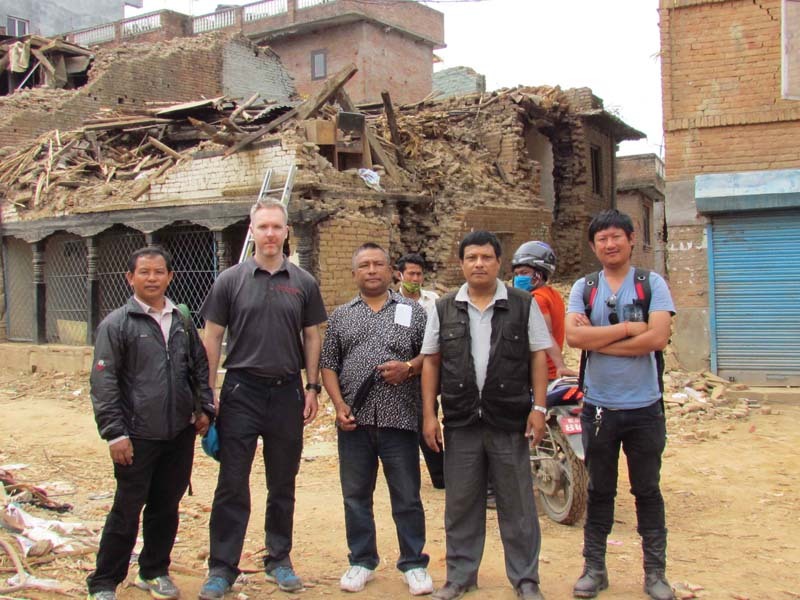 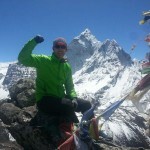 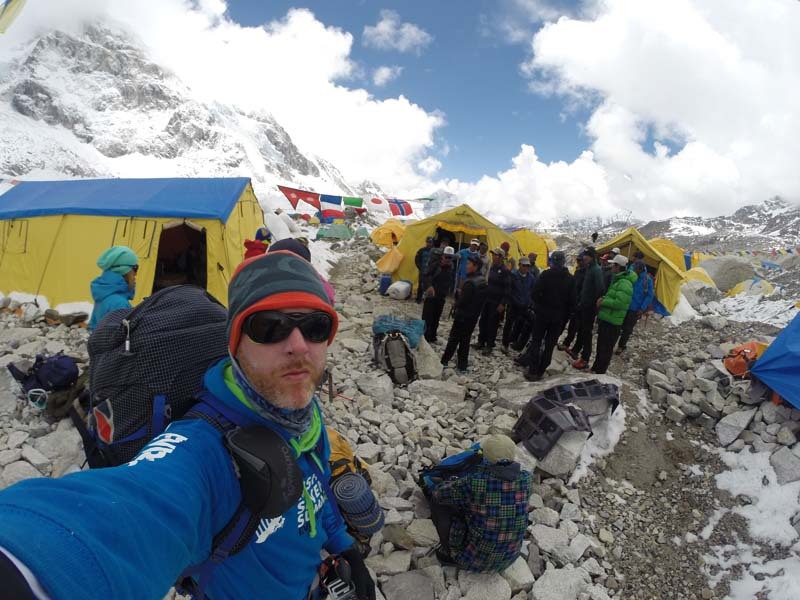 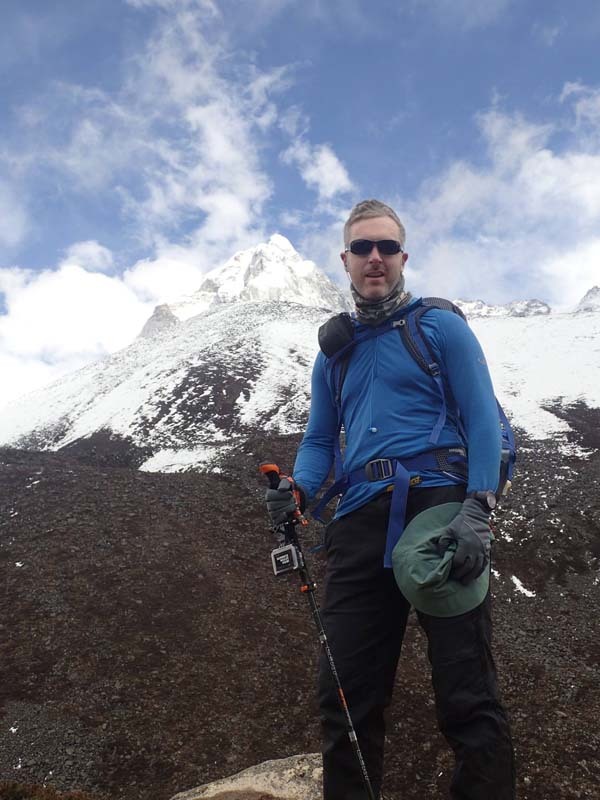 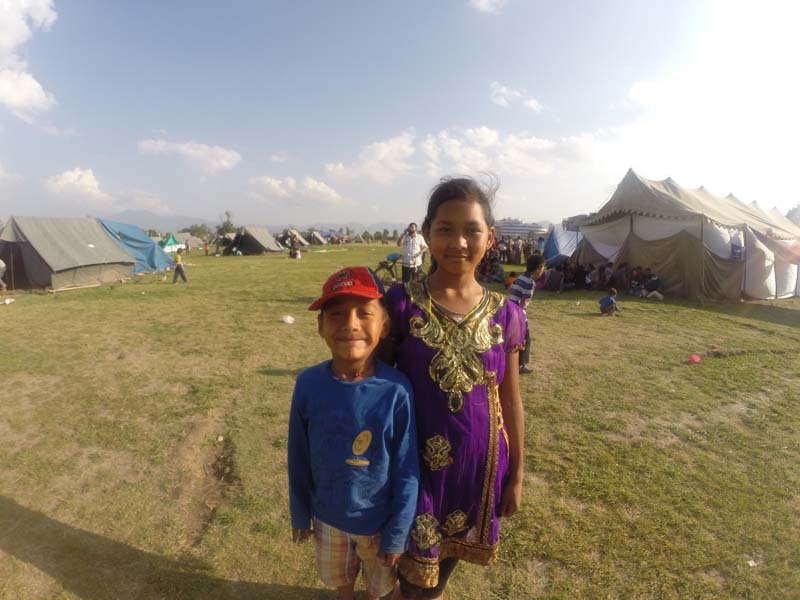 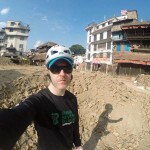 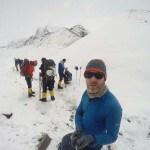 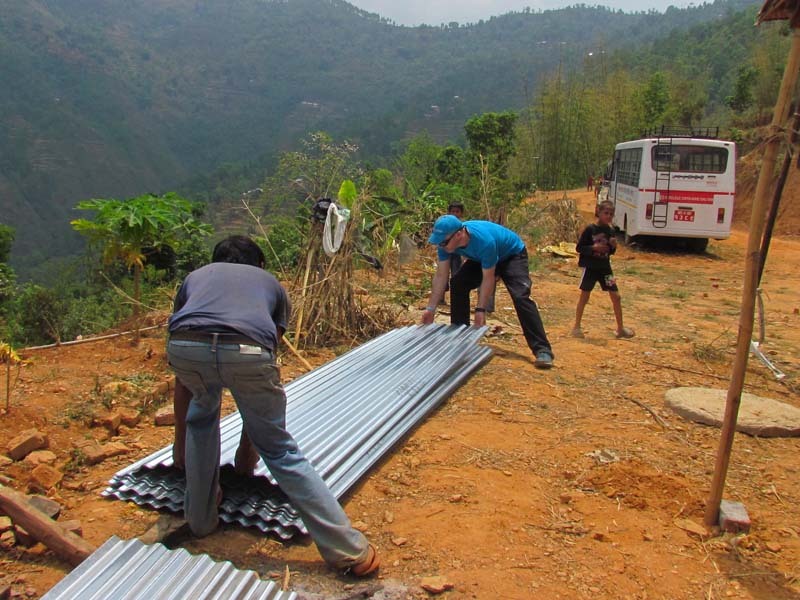 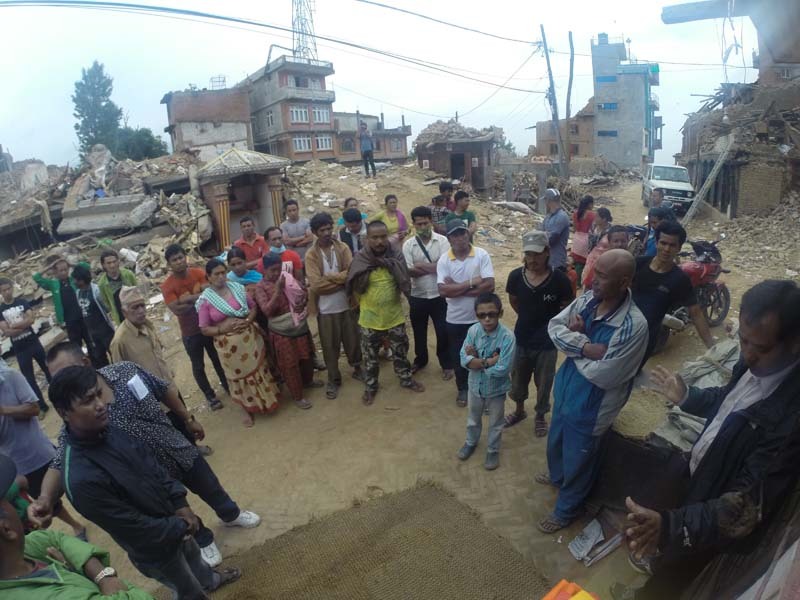 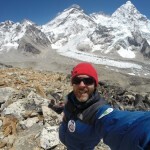 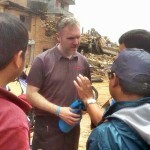 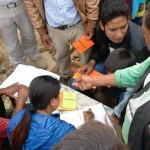 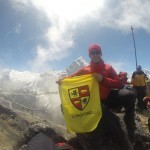 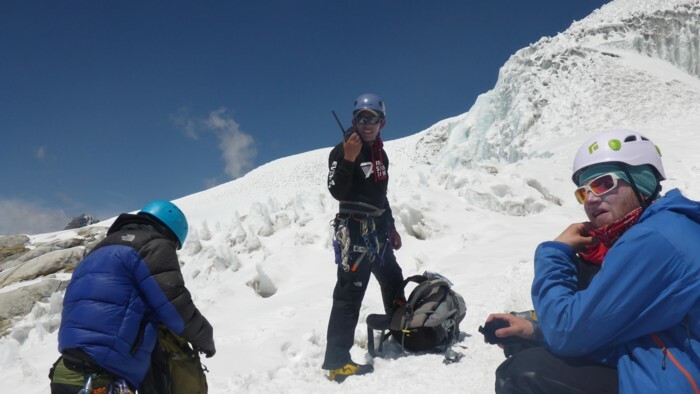 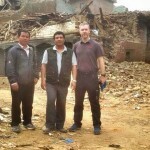 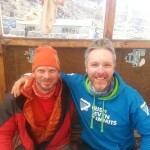 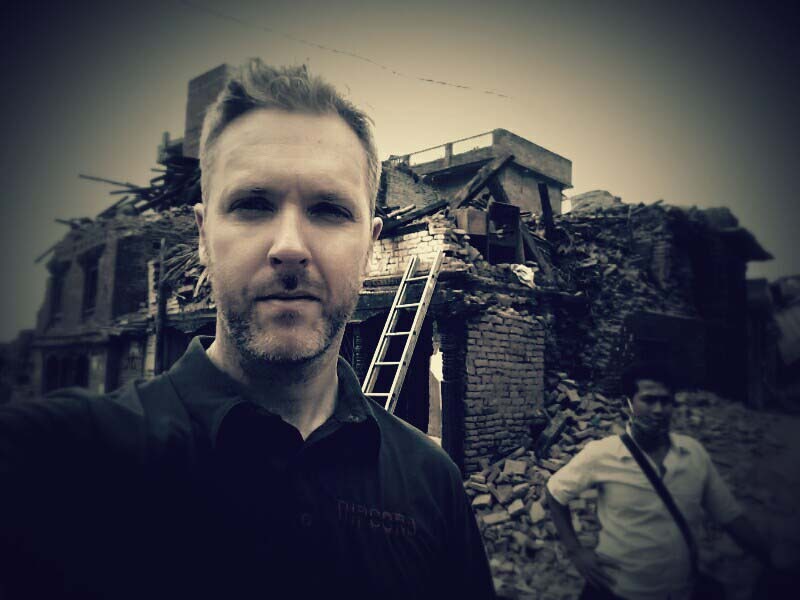 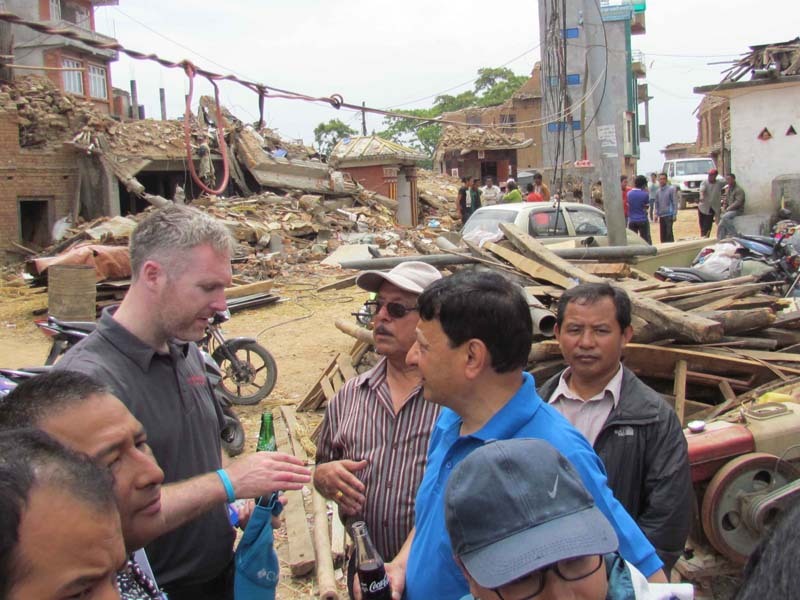 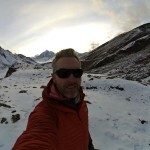 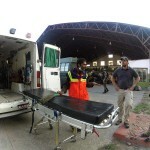 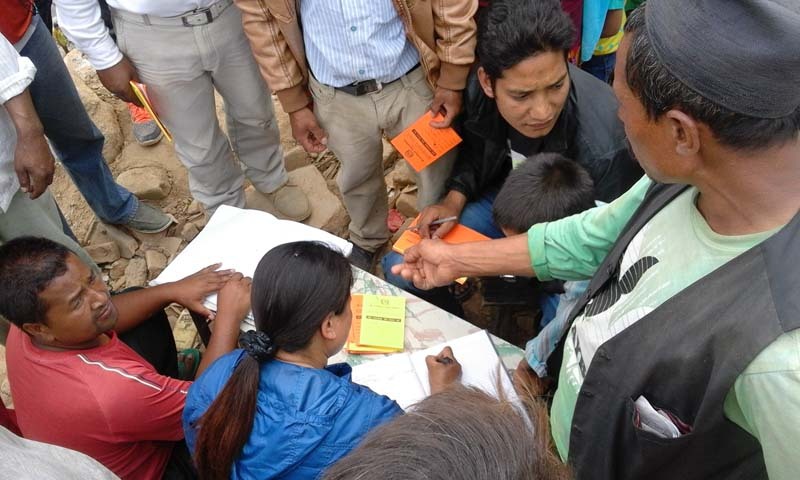 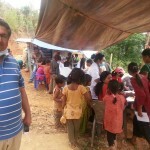 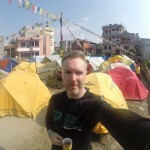 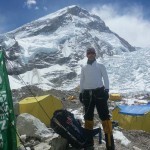 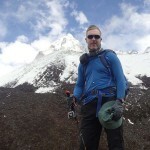 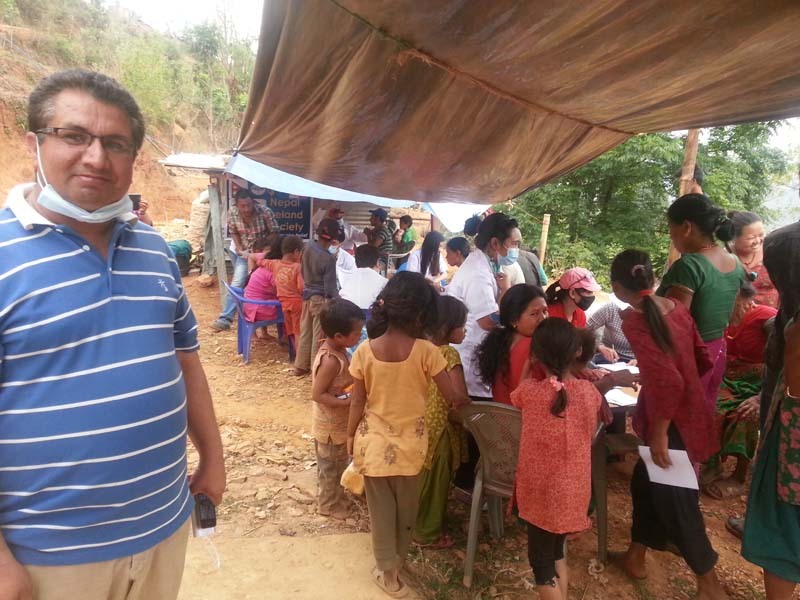 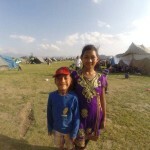 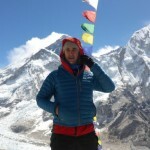 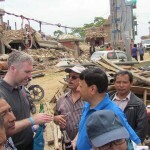 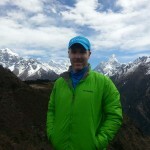 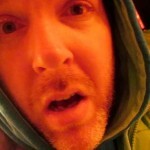 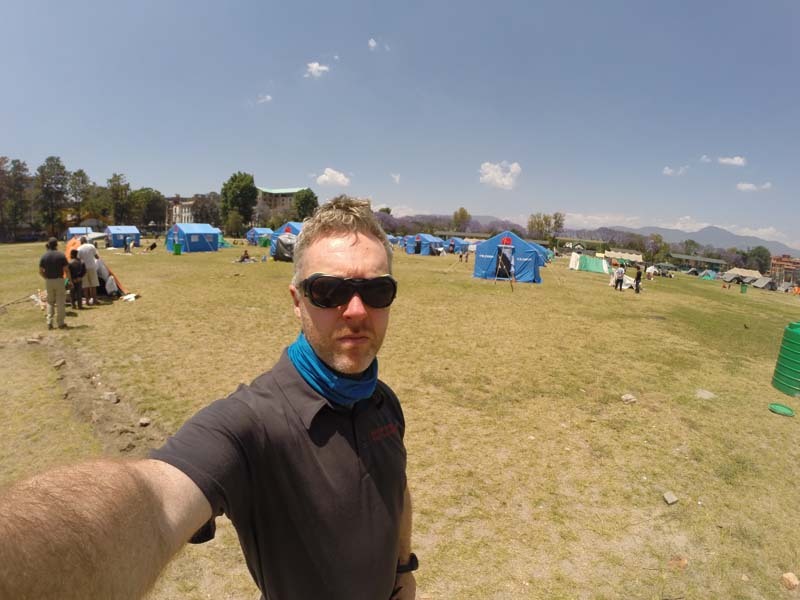 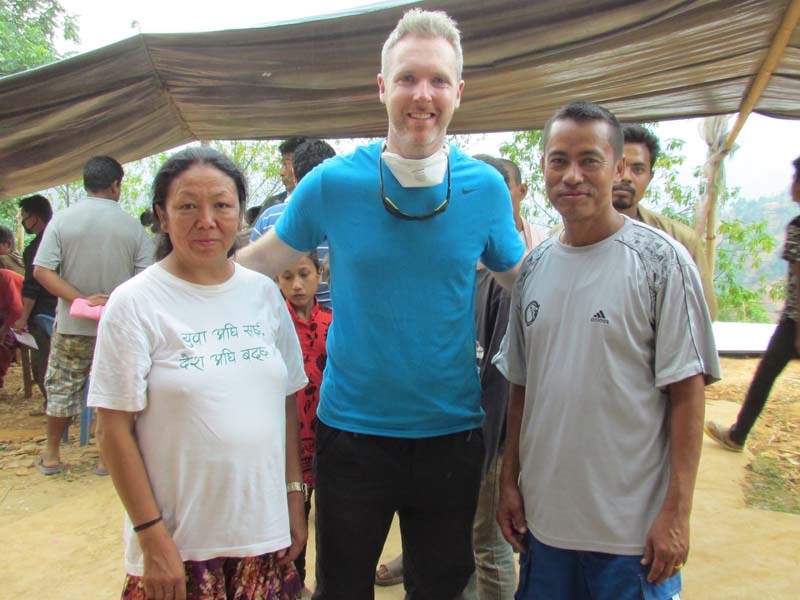 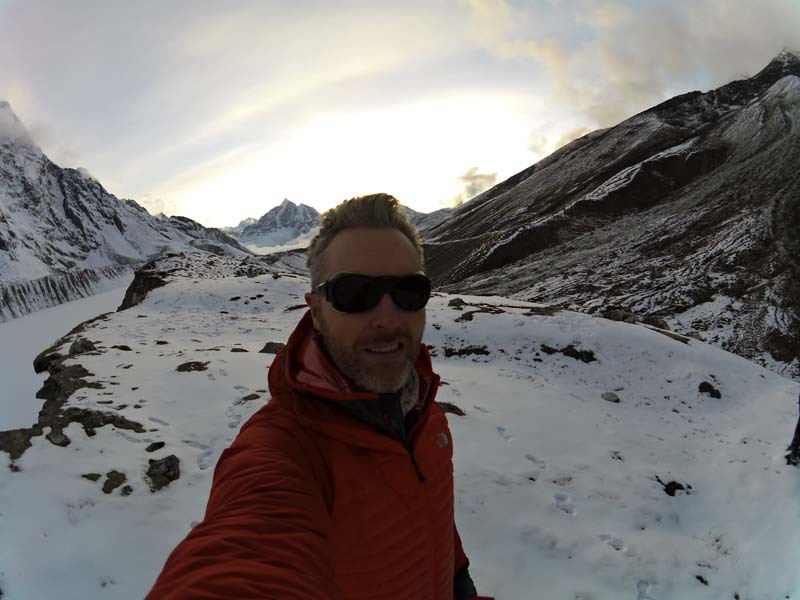 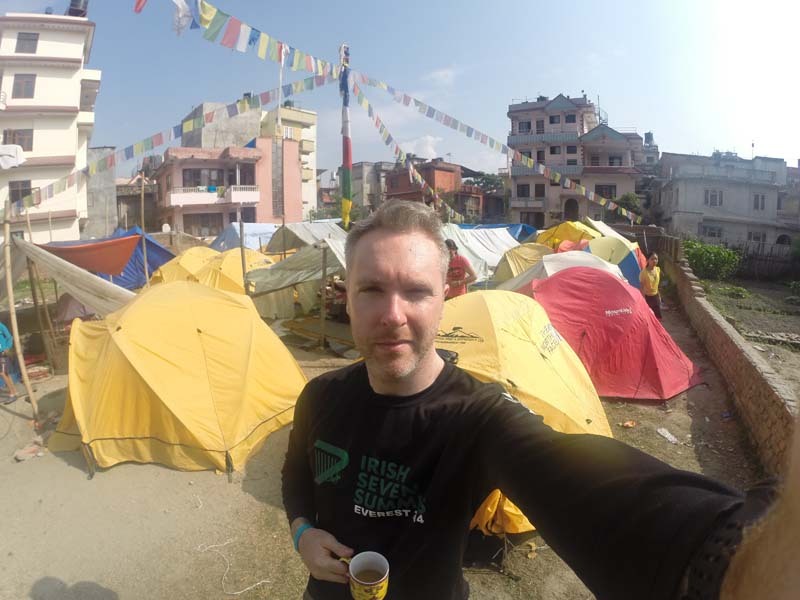 Paul returned in 2015 and was 25 days into the expedition when the Nepal earthquake hit, killing 19 people at Base Camp where he and his team were situated. 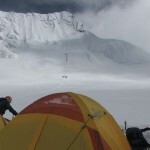 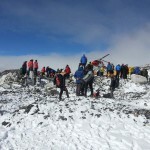 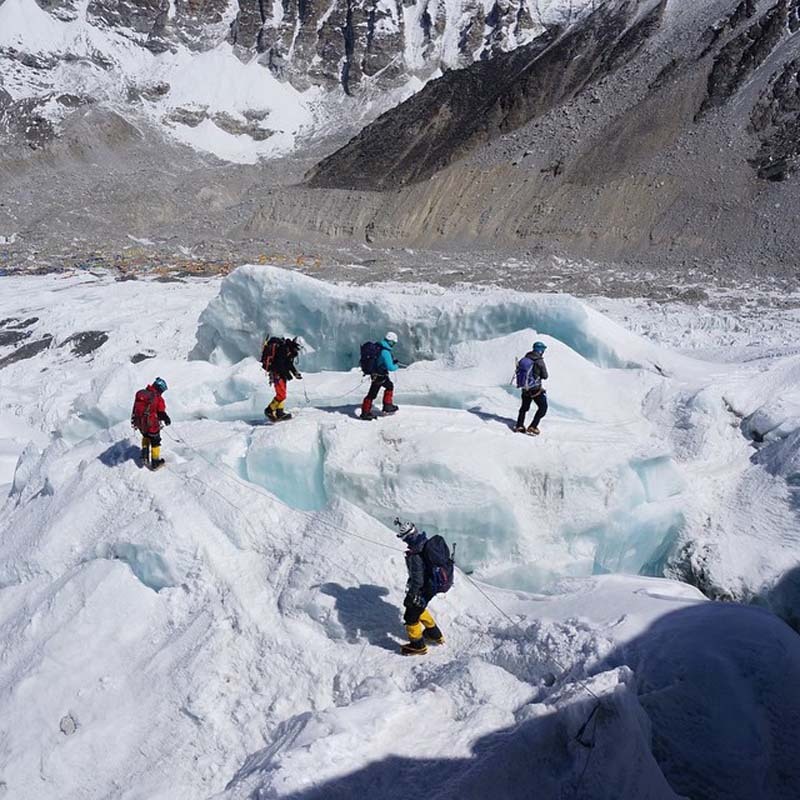 The team ended up, alongside others, in a massive rescue and recovery mission throughout this period and climbing on Everest was suspended completely on both sides of the mountain for the very first time. 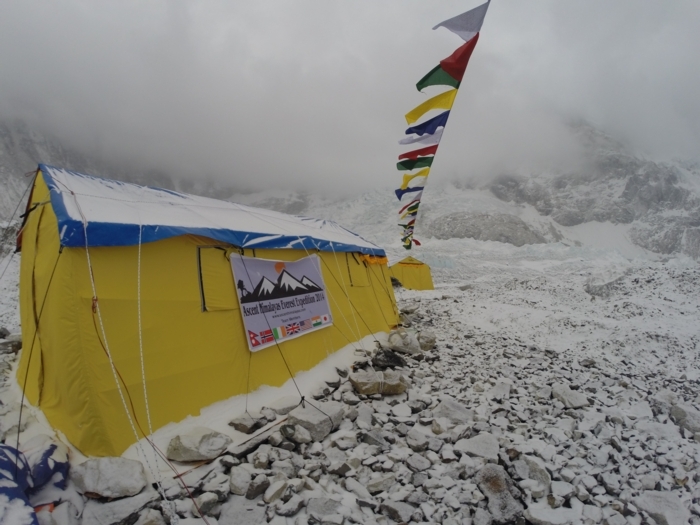 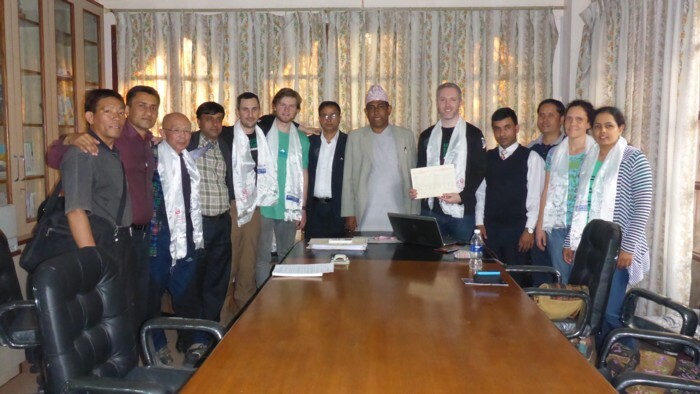 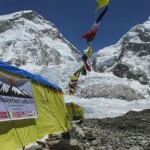 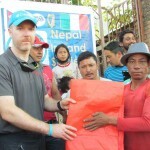 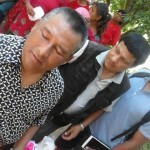 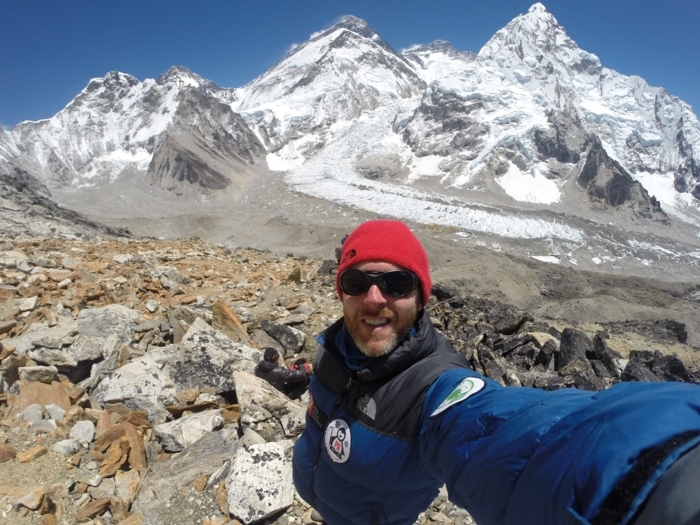 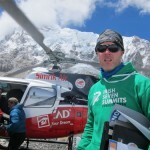 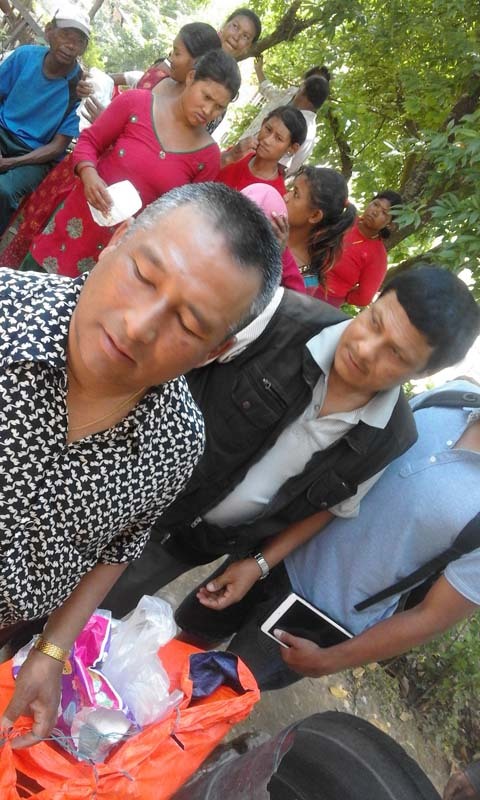 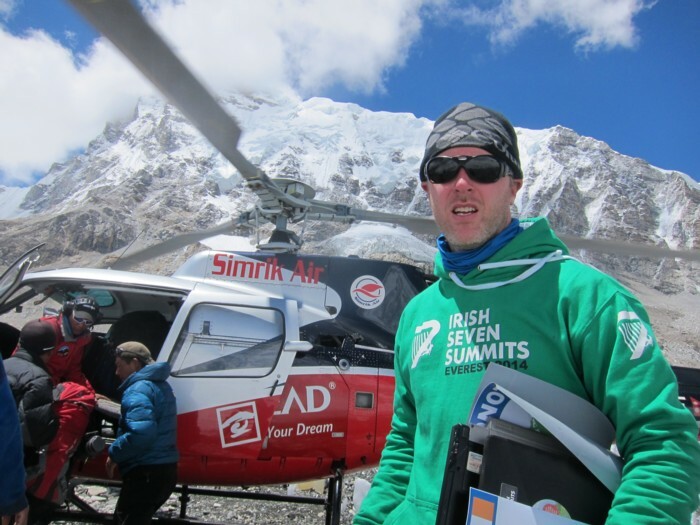 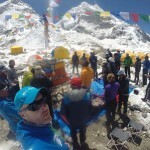 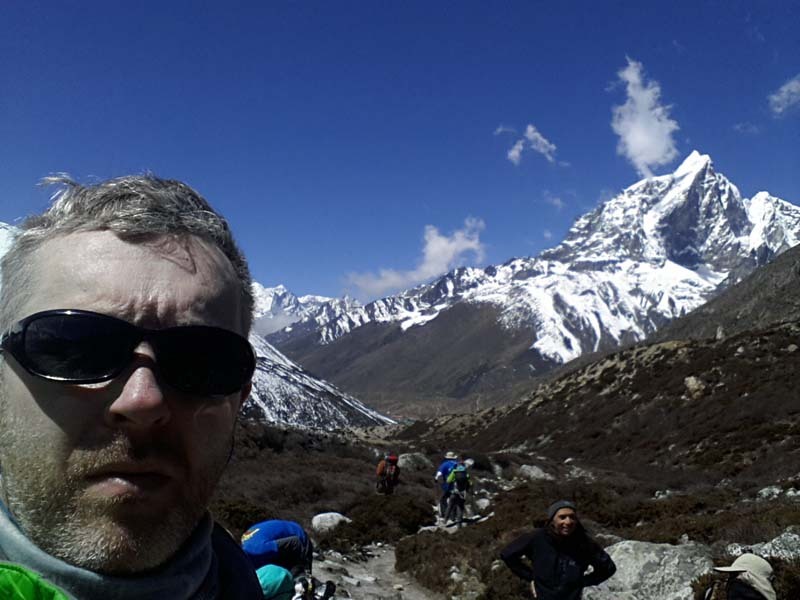 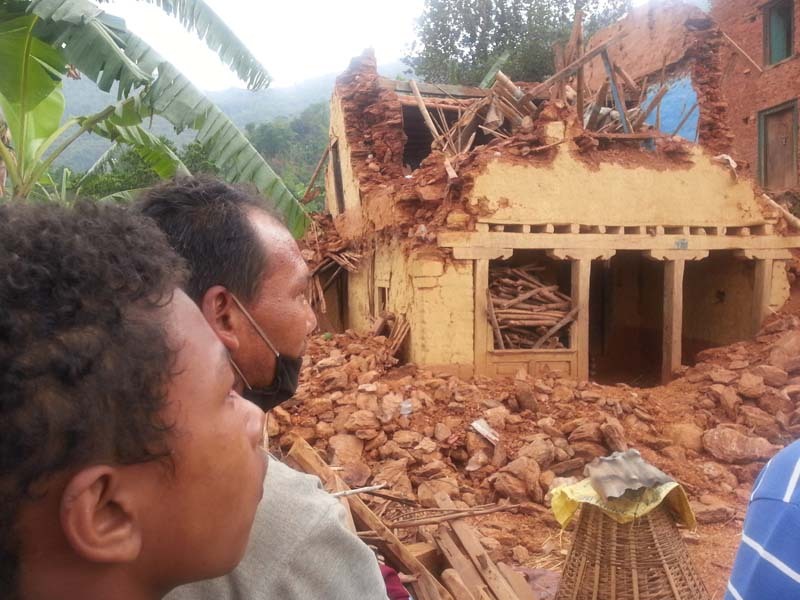 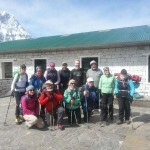 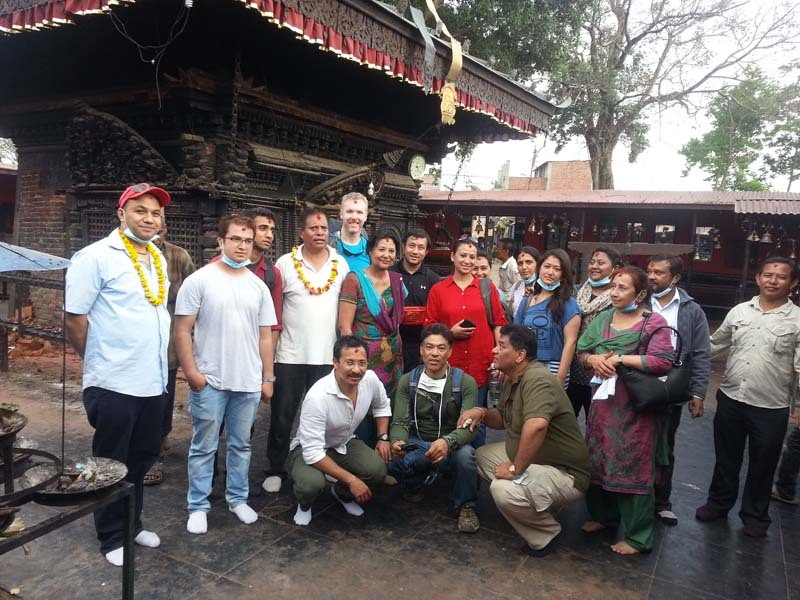 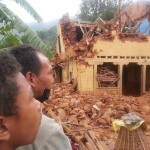 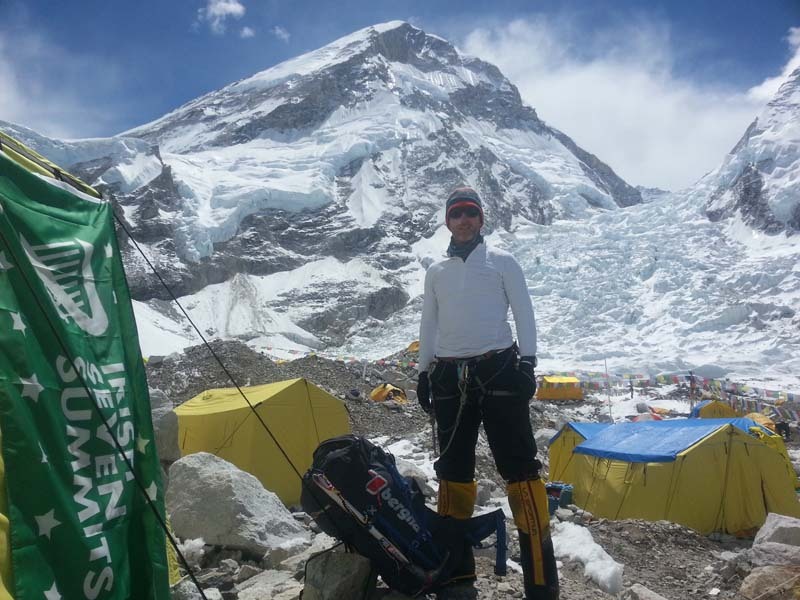 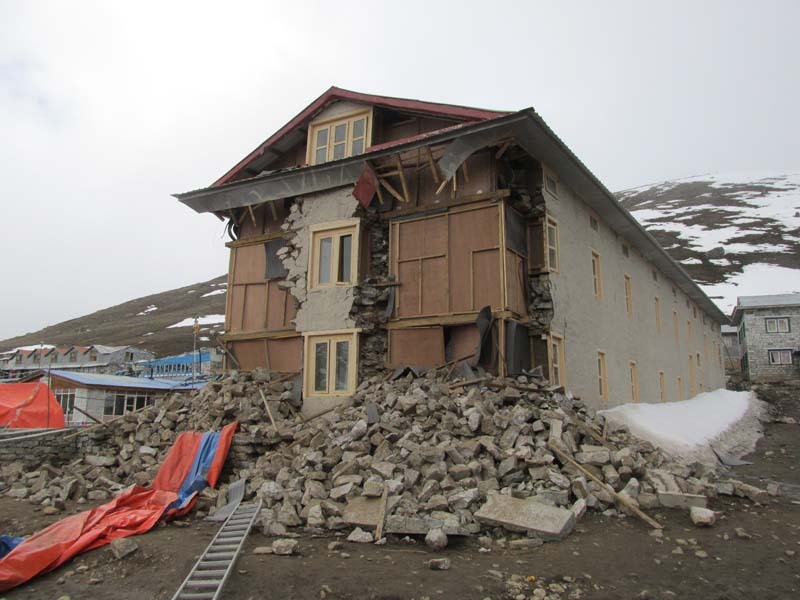 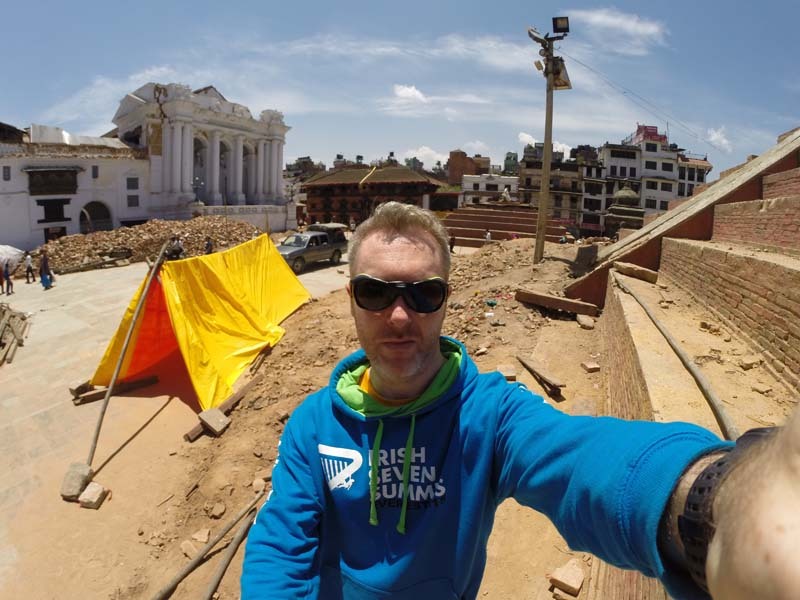 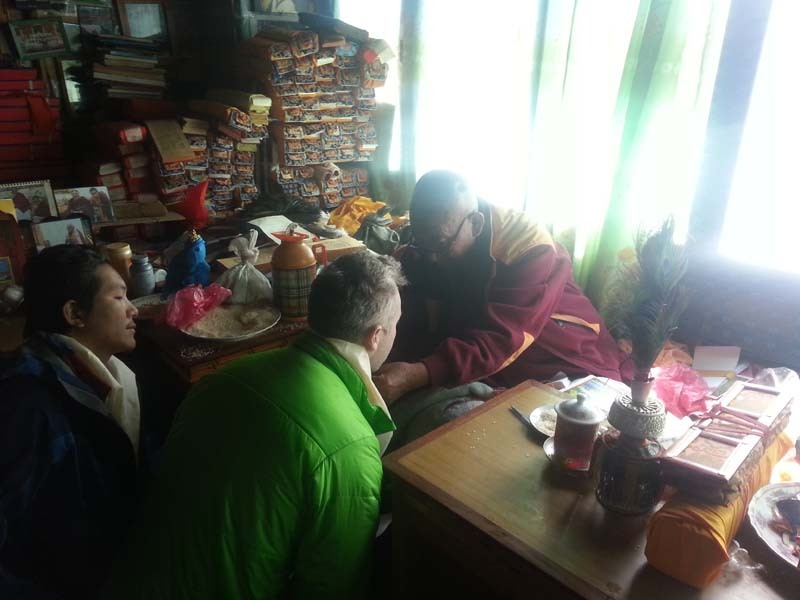 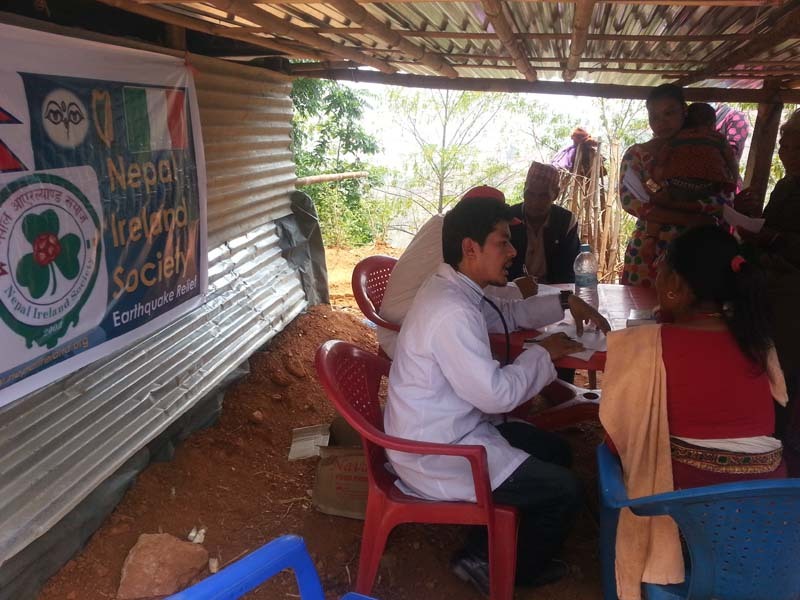 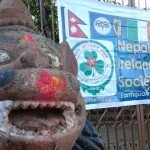 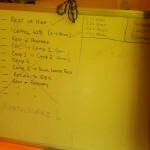 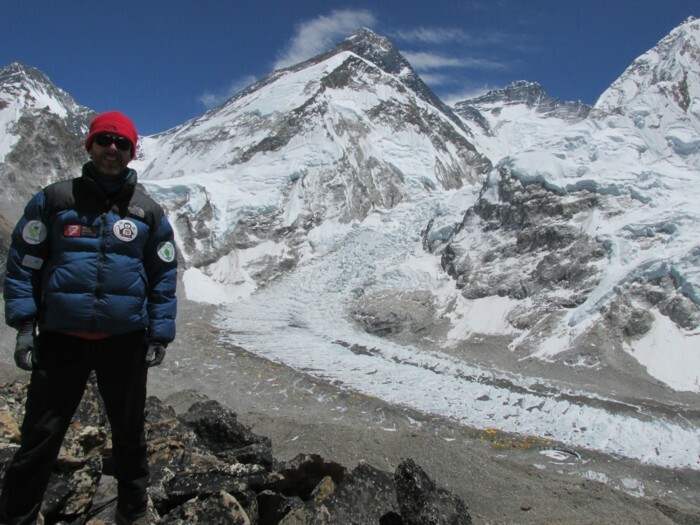 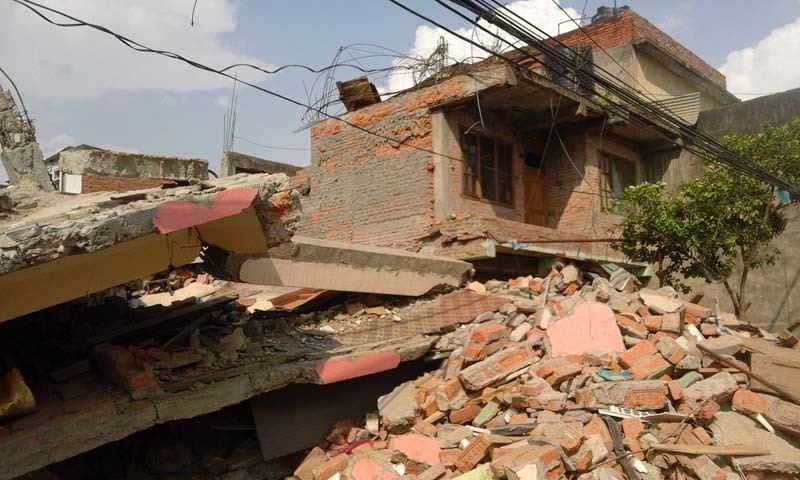 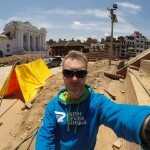 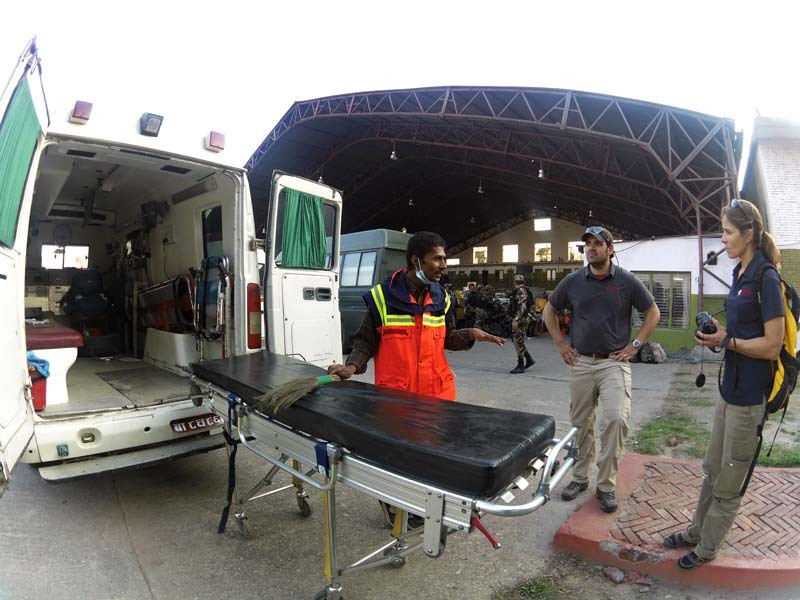 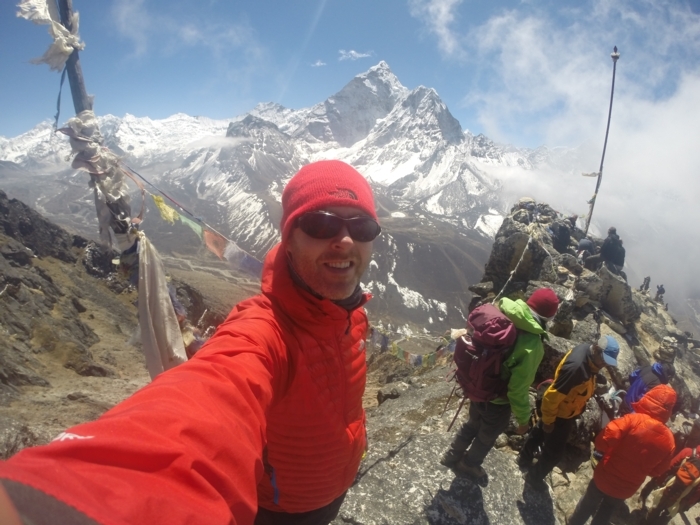 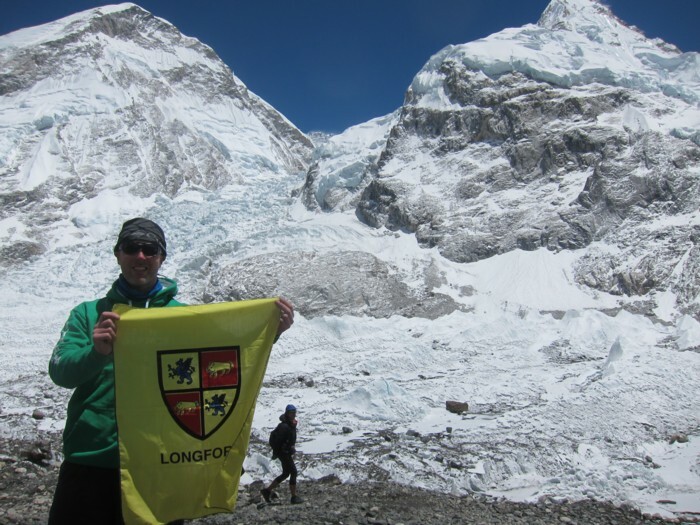 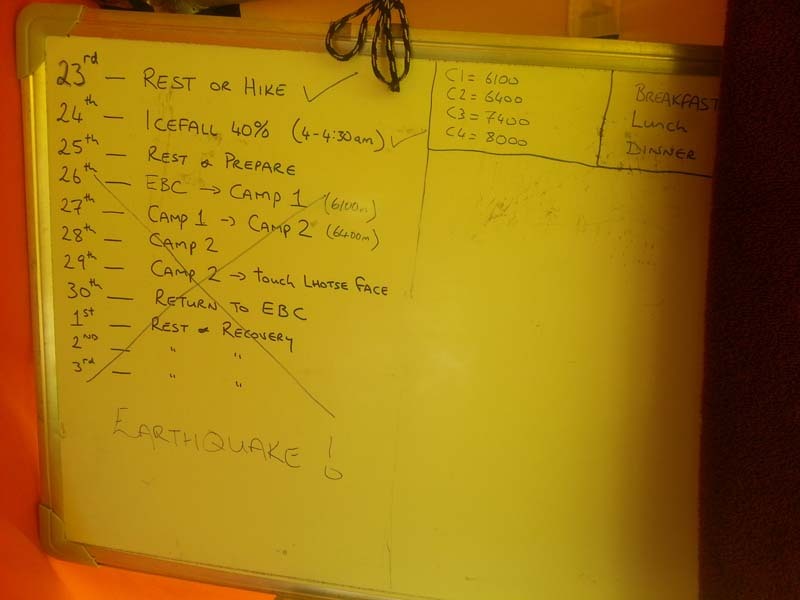 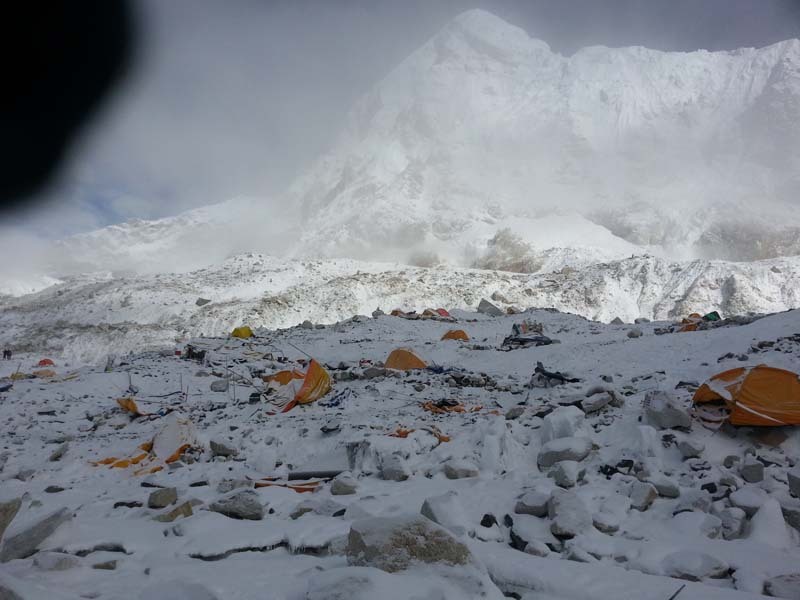 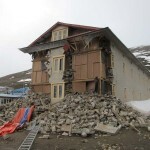 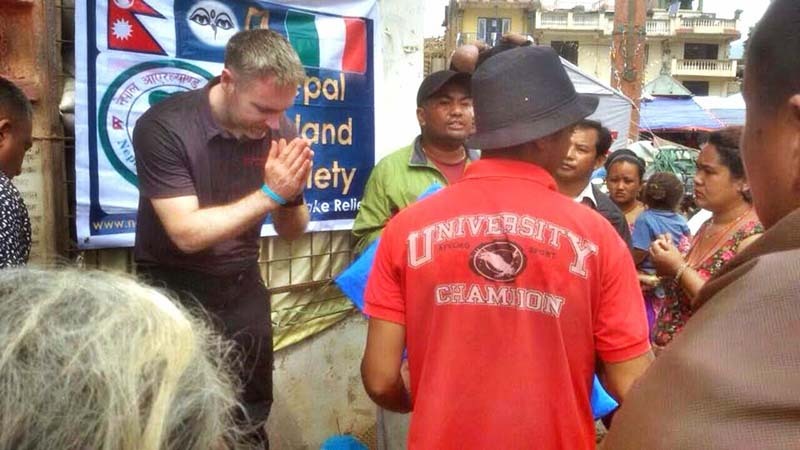 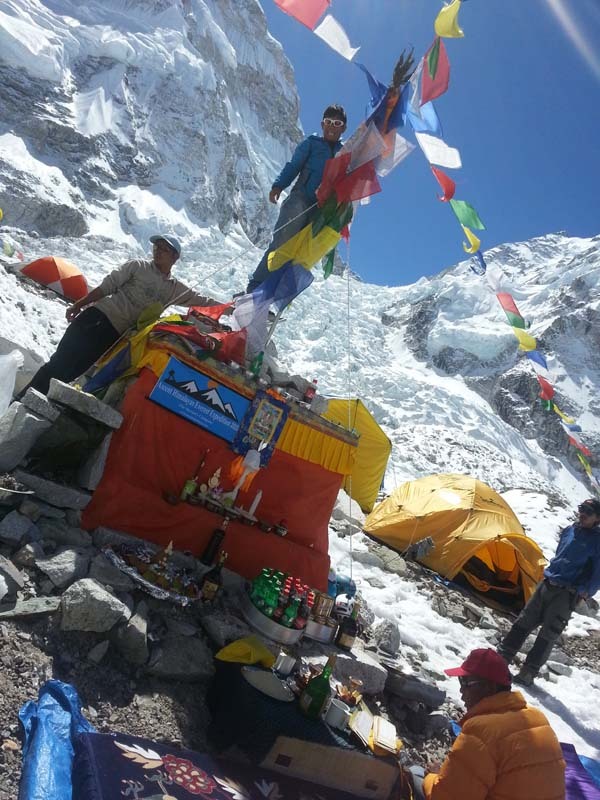 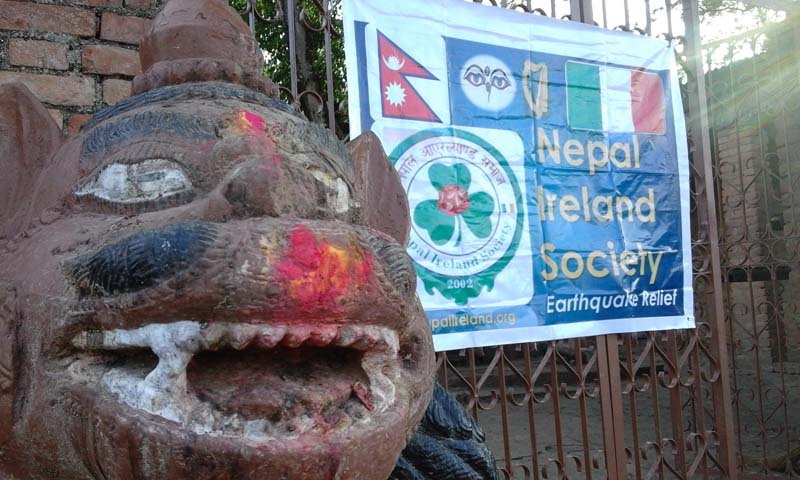 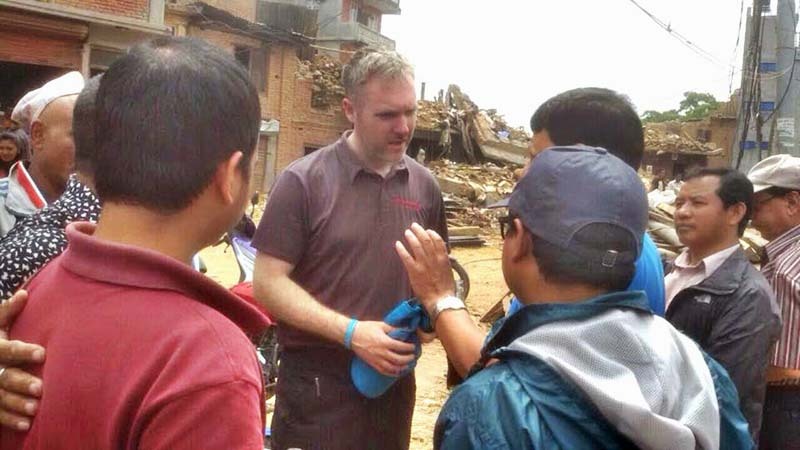 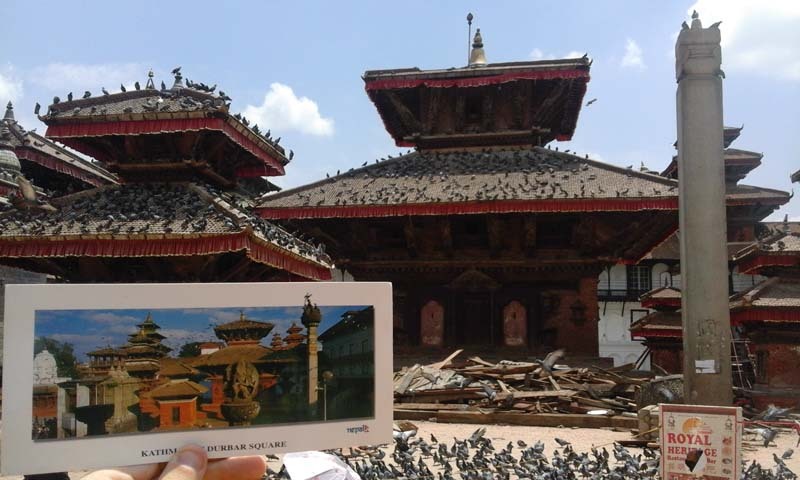 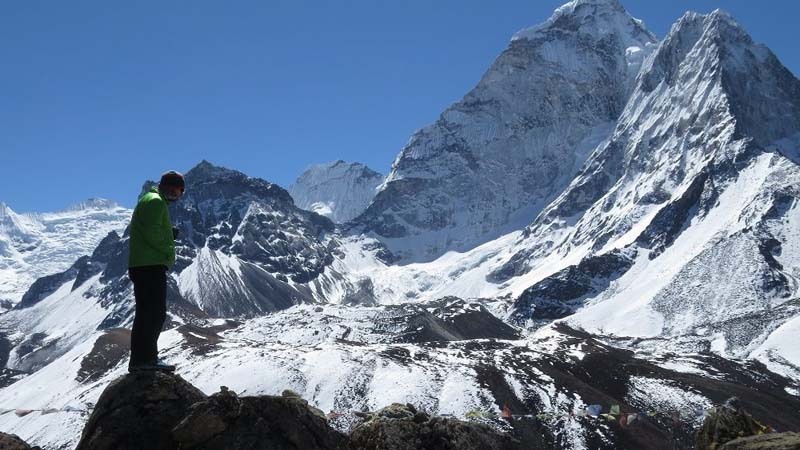 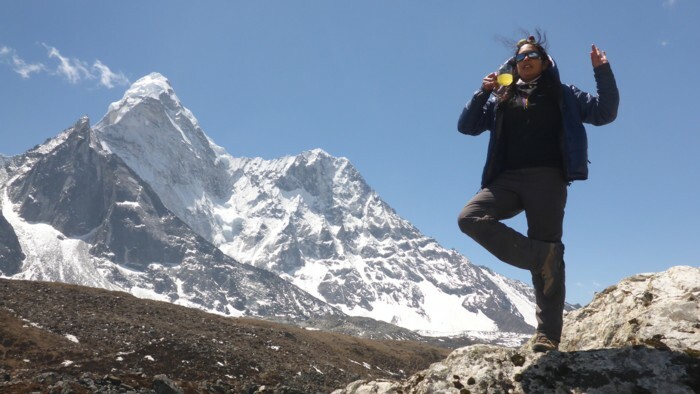 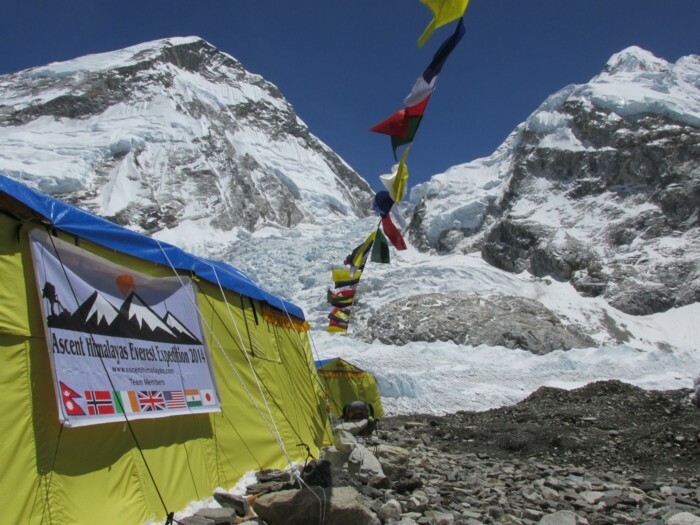 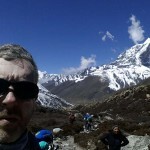 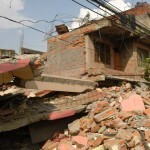 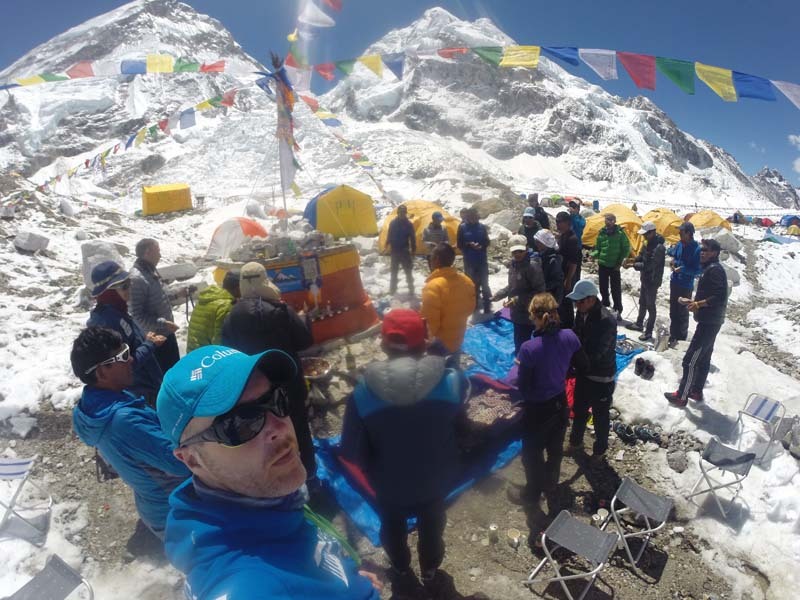 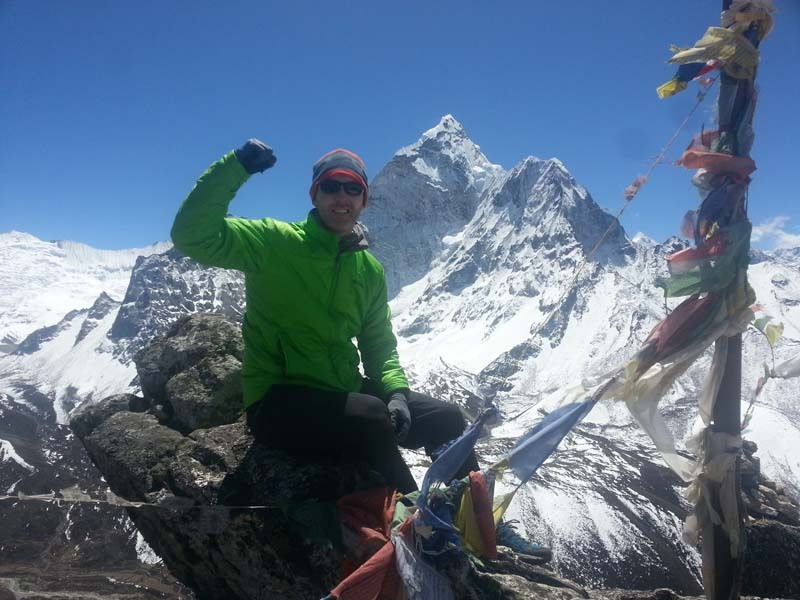 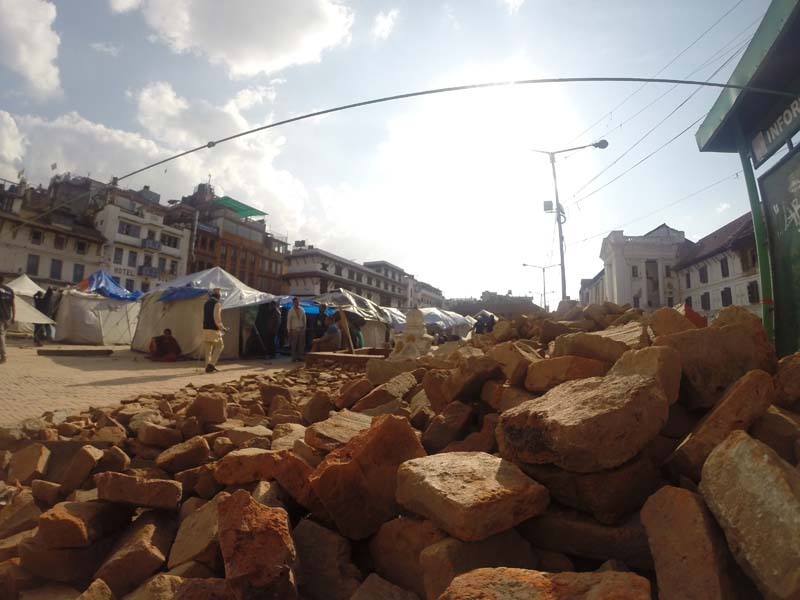 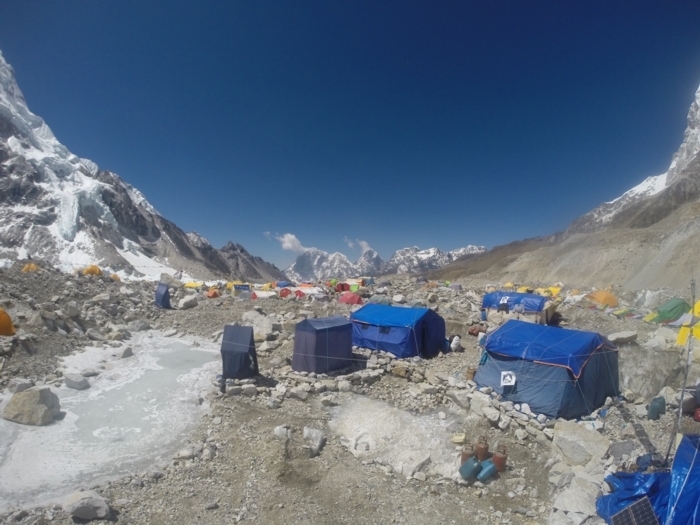 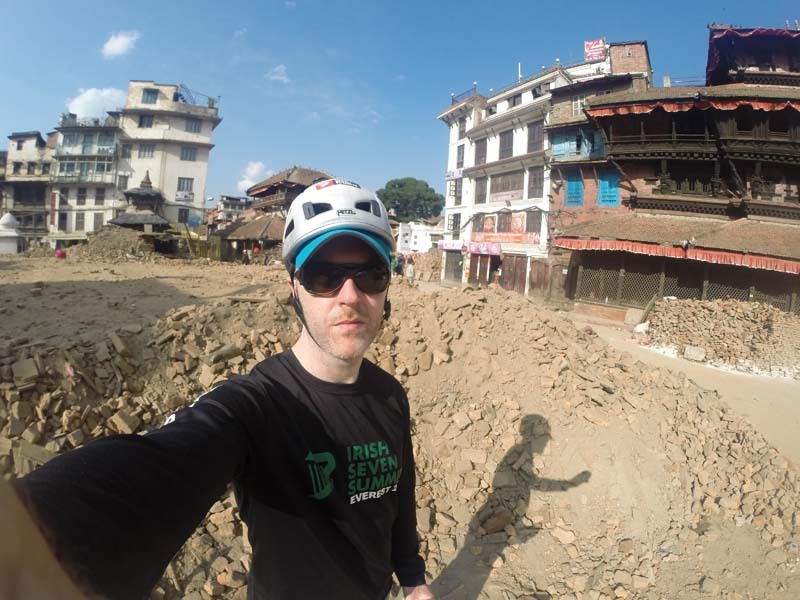 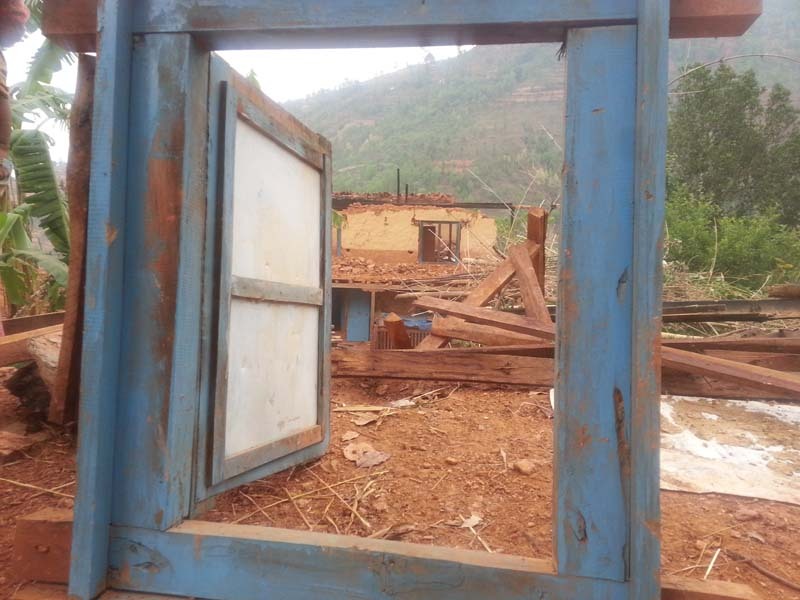 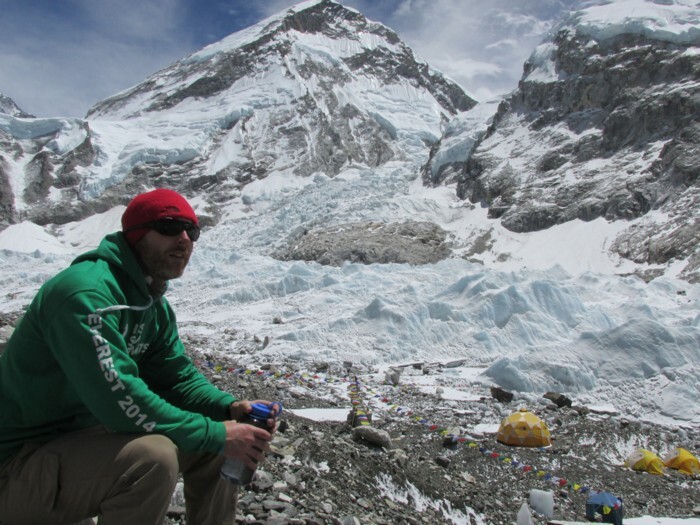 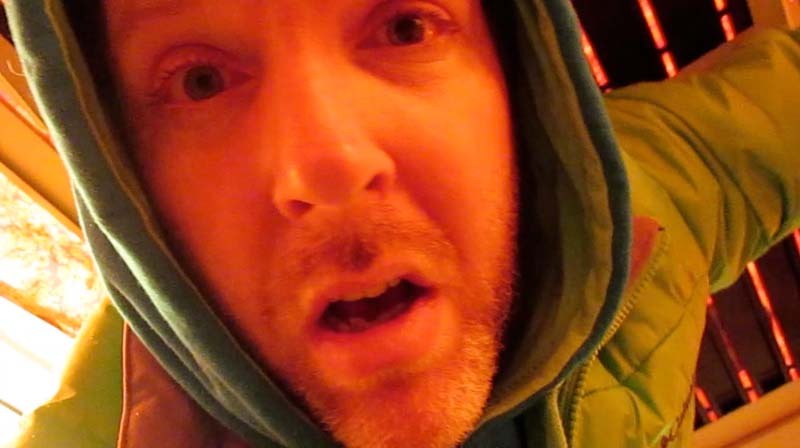 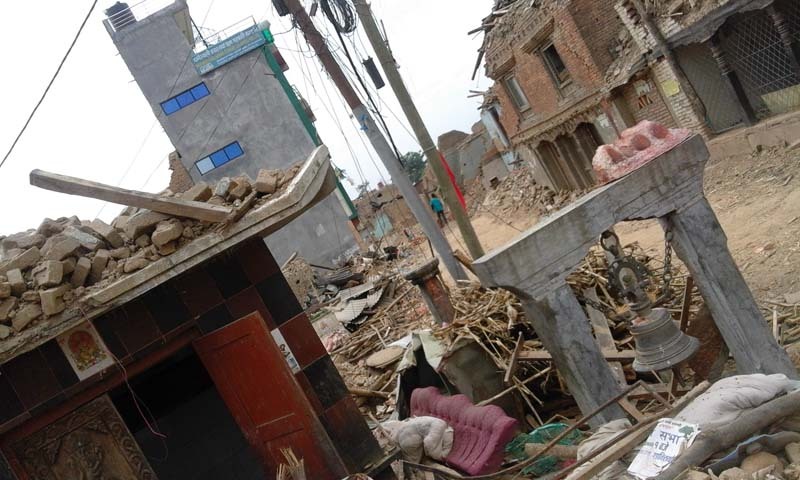 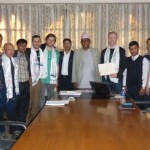 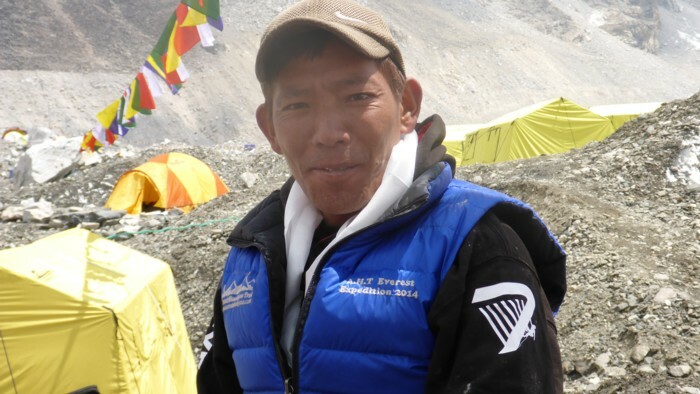 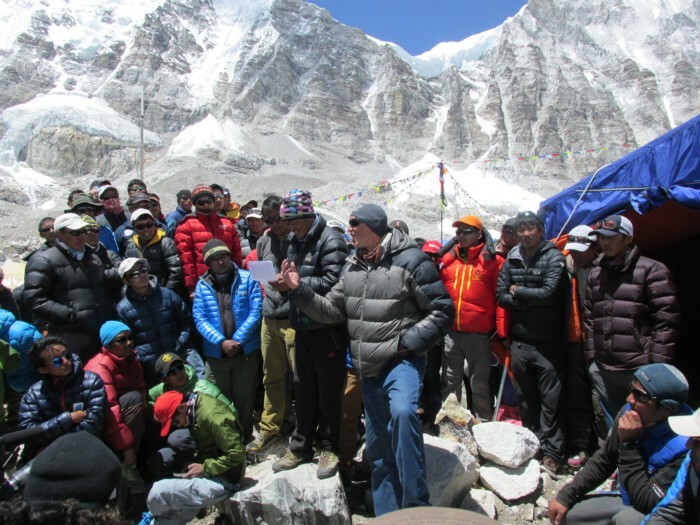 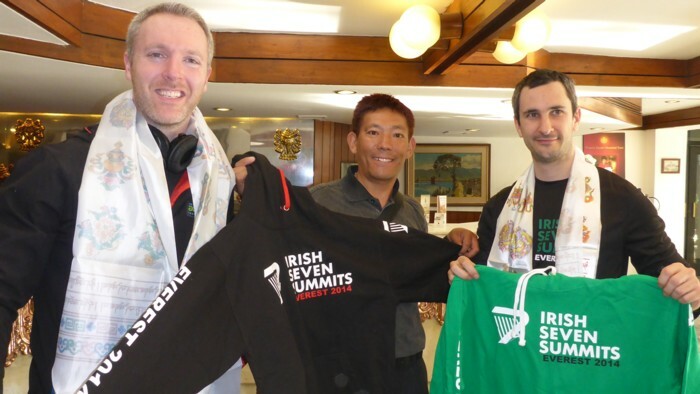 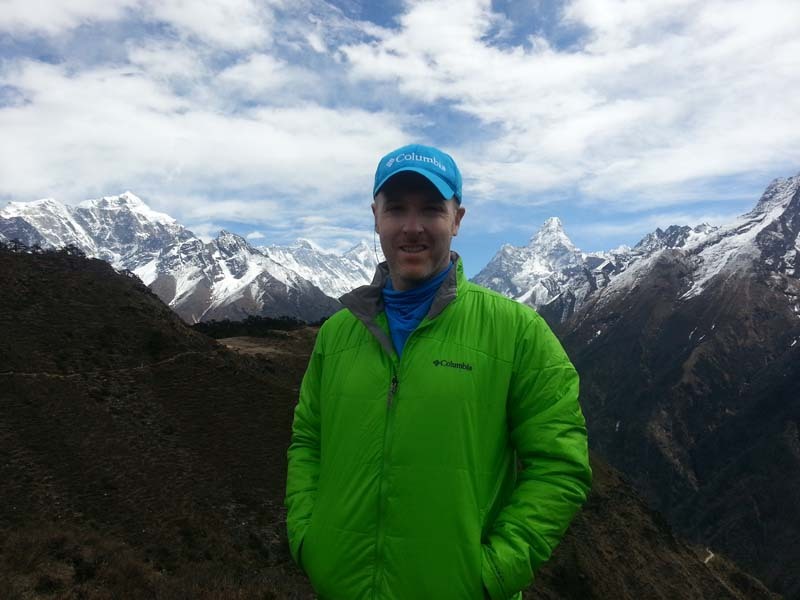 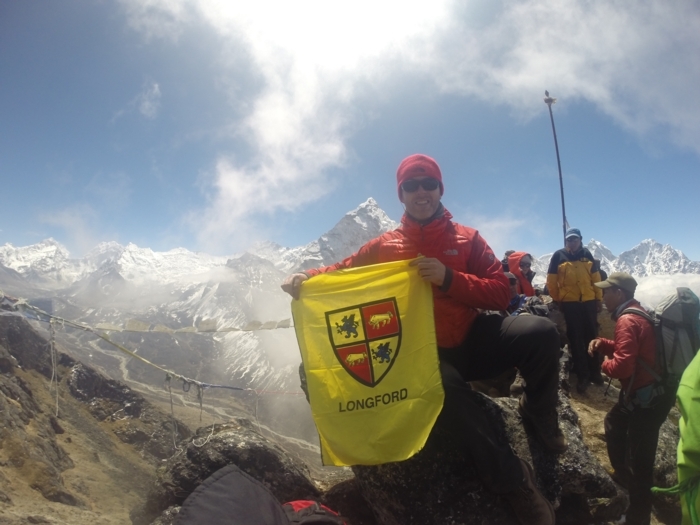 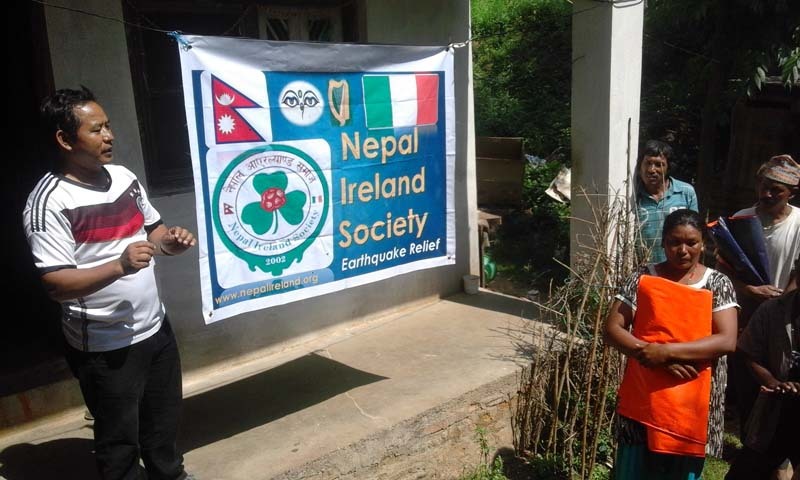 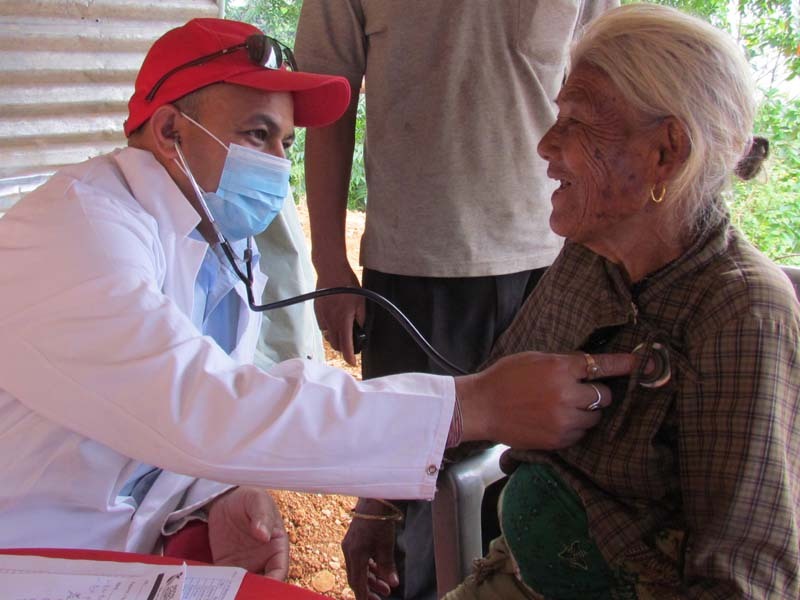 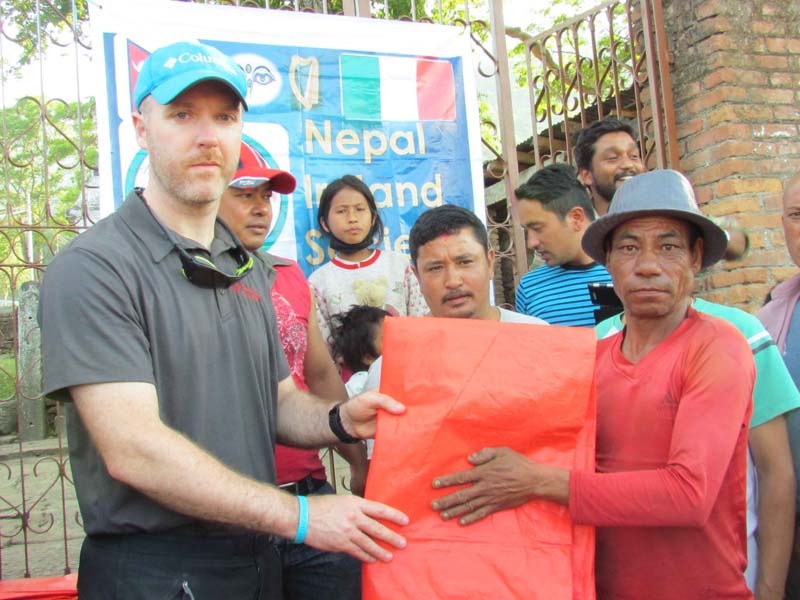 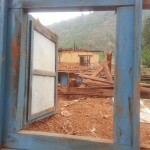 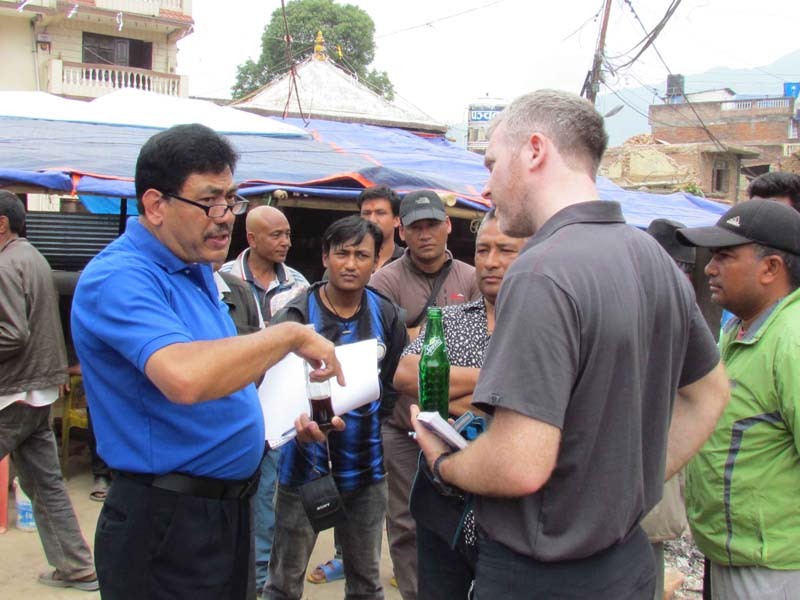 2015 Disaster: Paul was 25 days into his Everest expedition in April 2015 when 7.8 magnitude earthquake hit Nepal and triggered an avalanche which destroyed the centre of Everest Base Camp close to their camp. 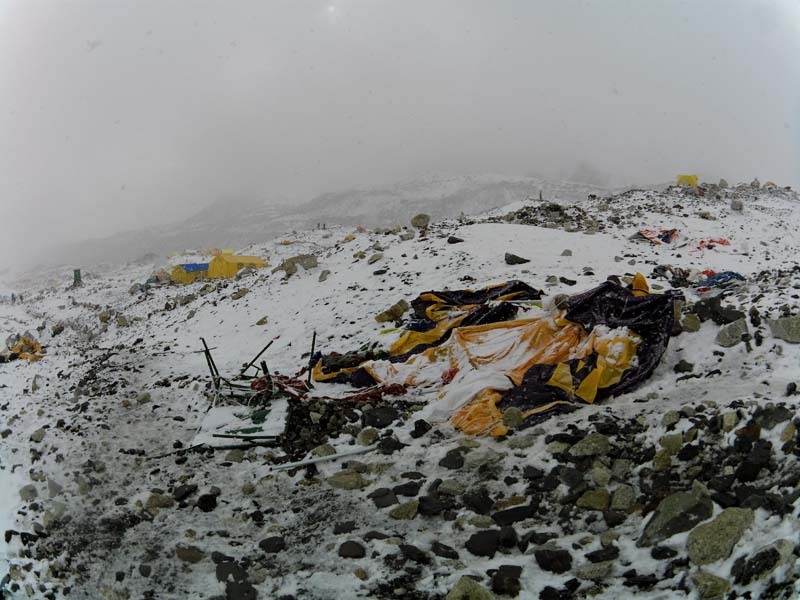 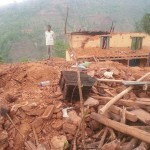 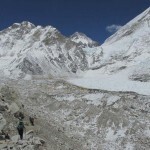 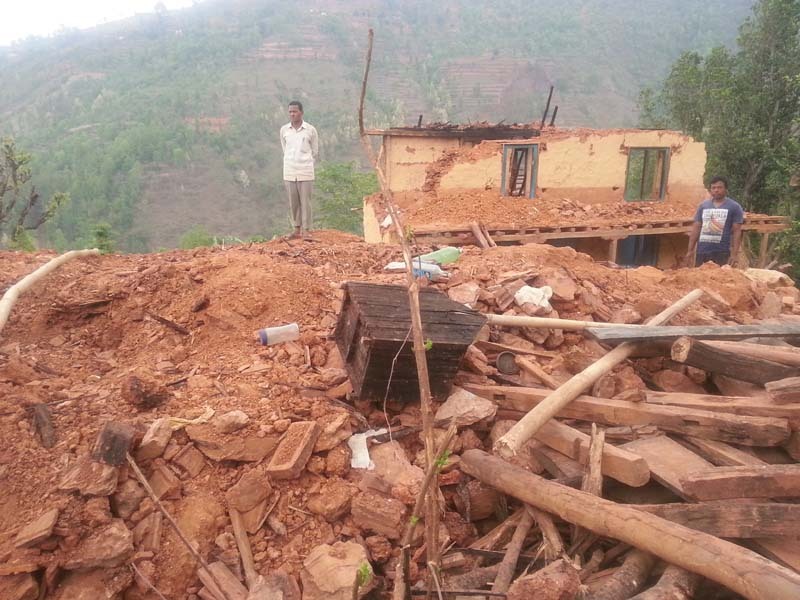 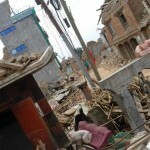 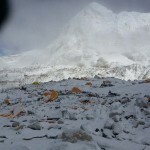 19 people were killed in the worst disaster in the history of Everest. 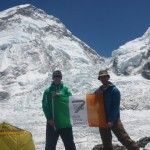 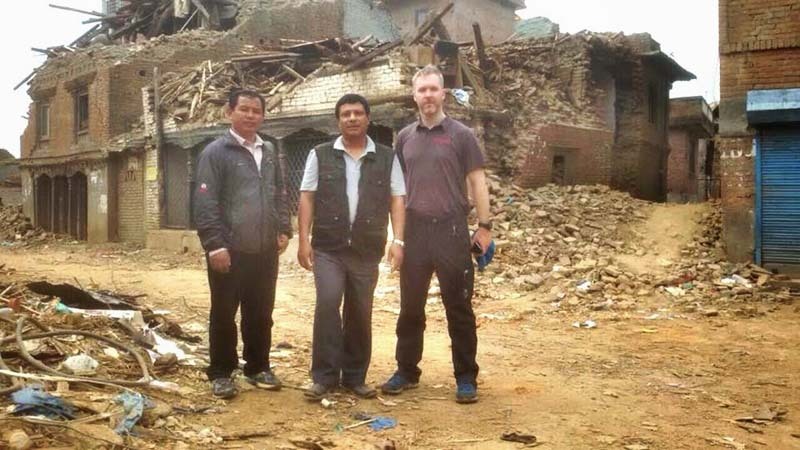 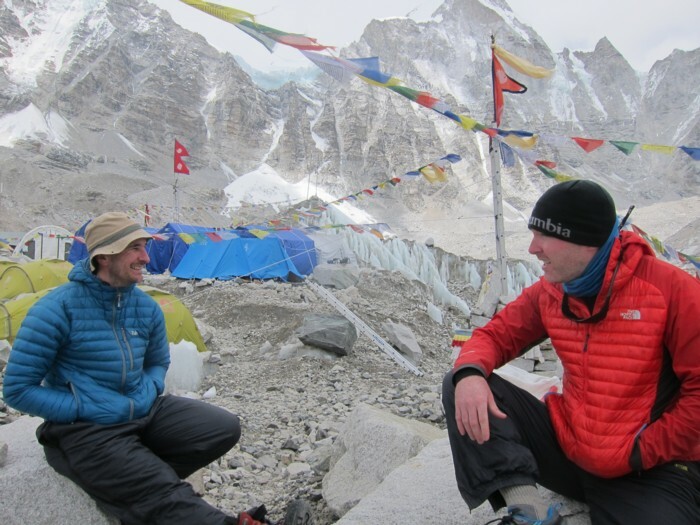 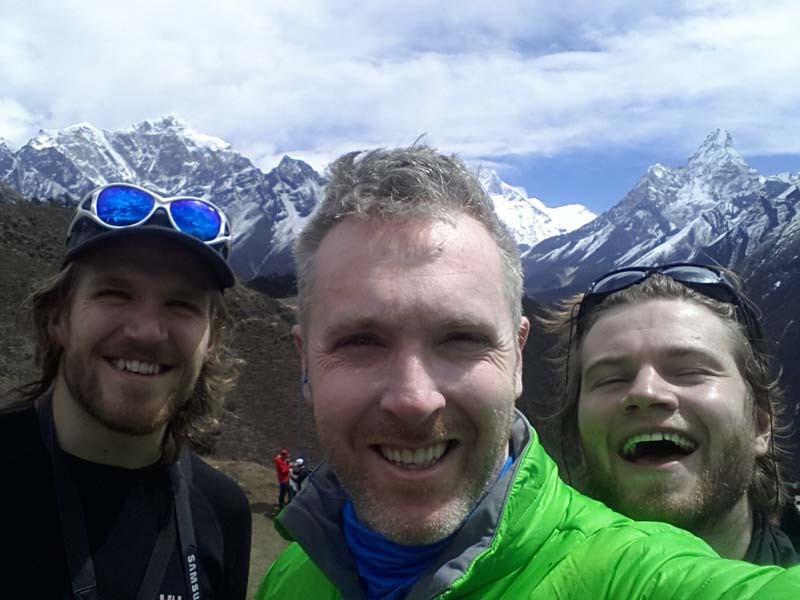 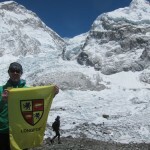 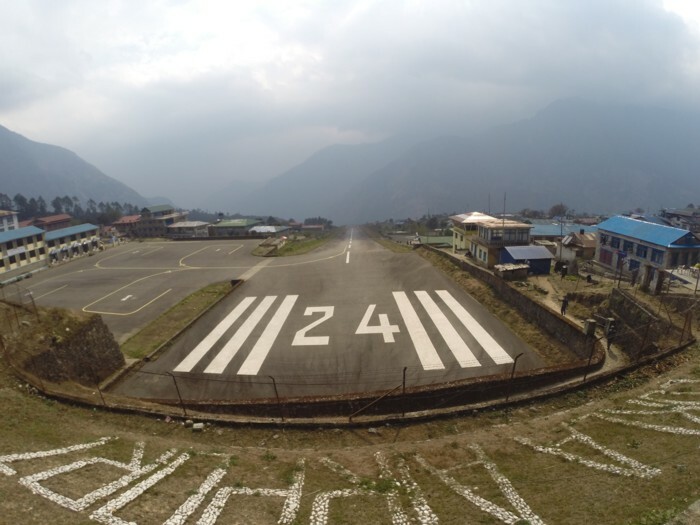 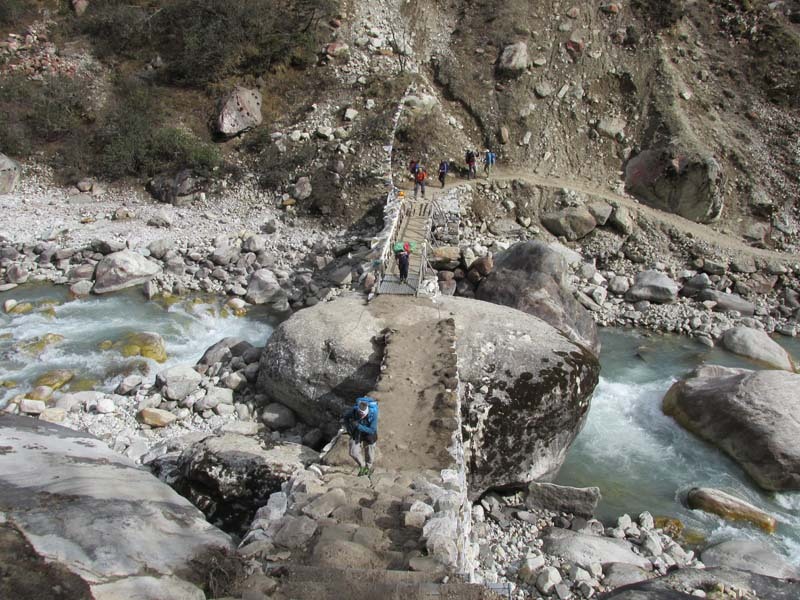 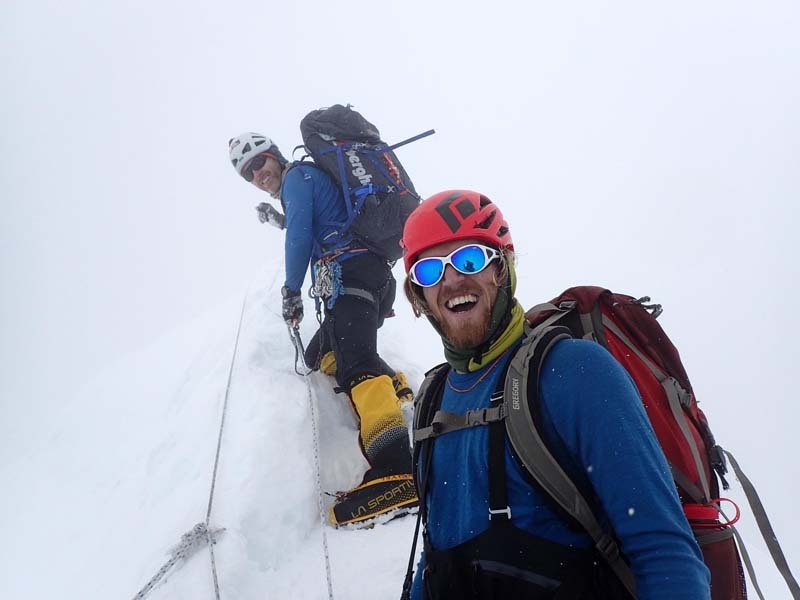 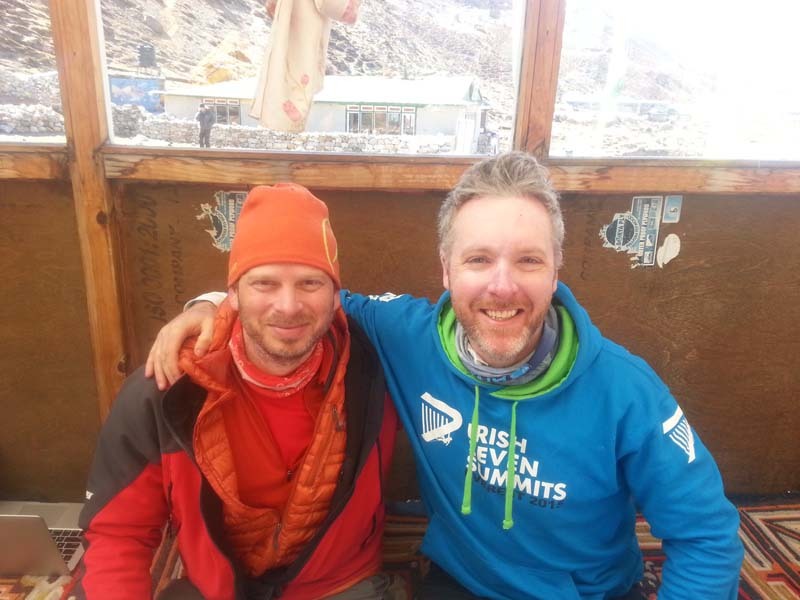 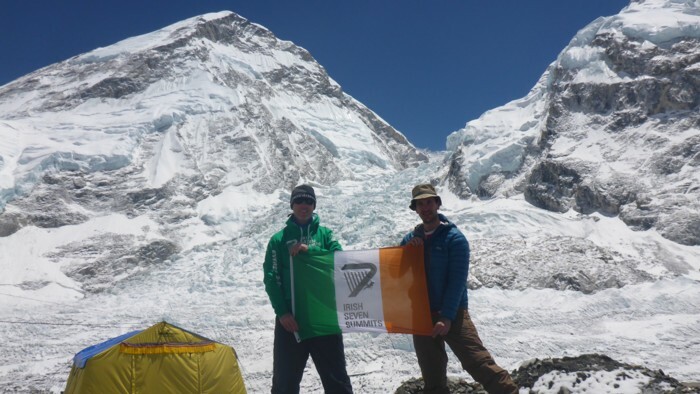 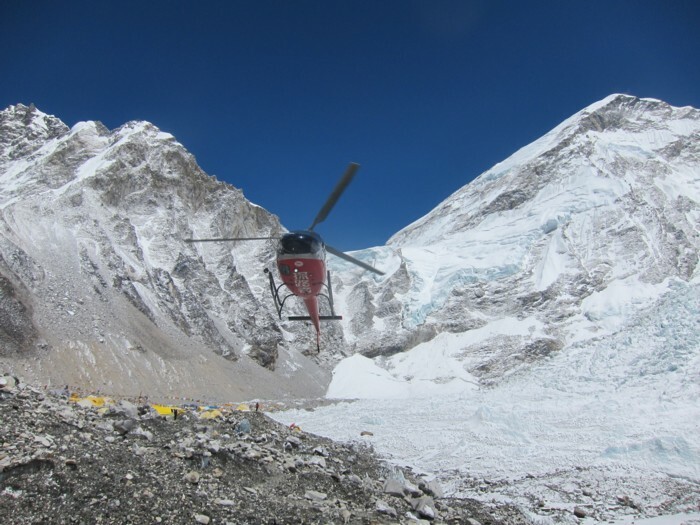 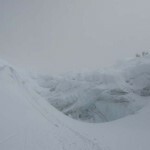 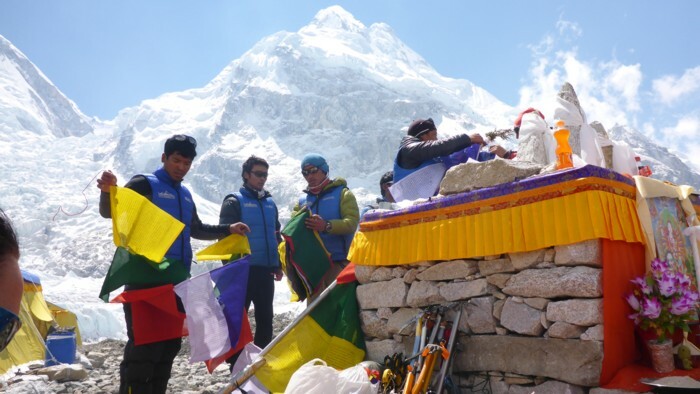 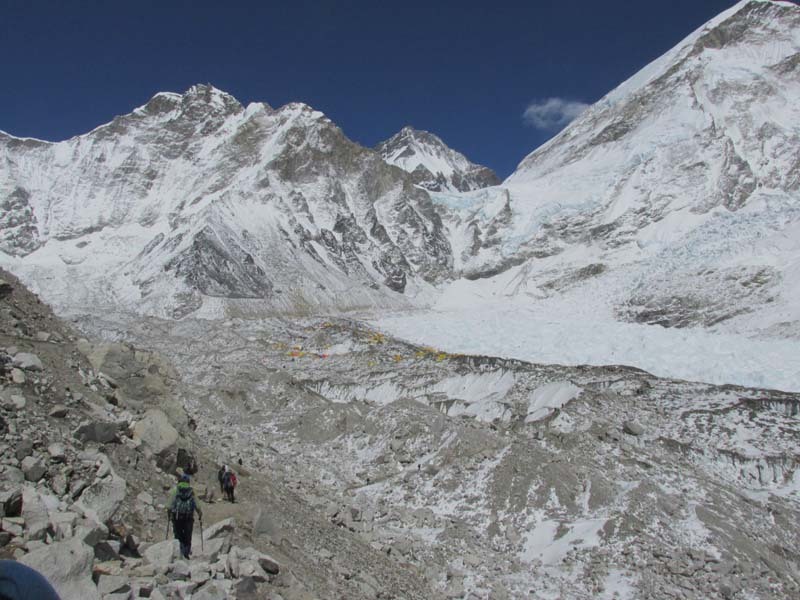 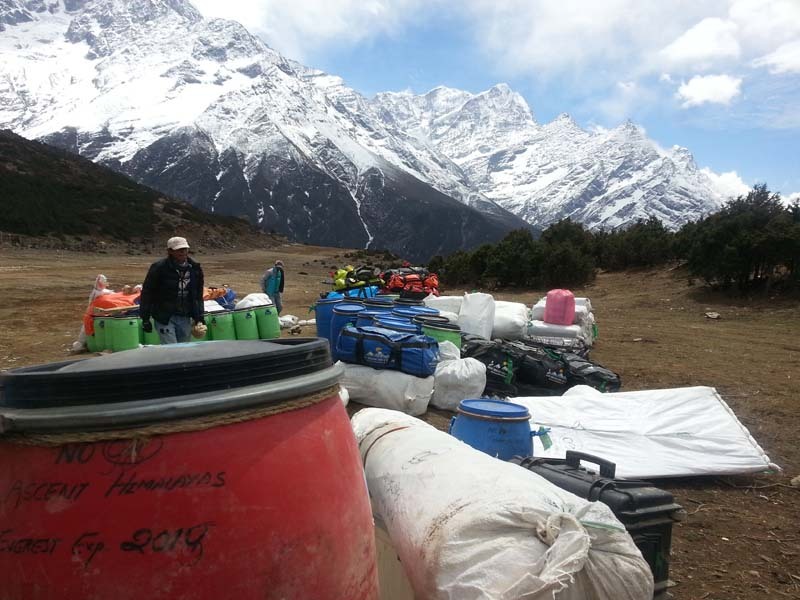 2014 Disaster: Paul, Niall & Madhura were half-way through their expedition in April 2014 when an avalanche killed 16 Sherpa on the Khumbu Icefall above Base Camp. 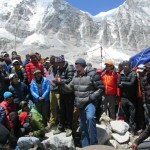 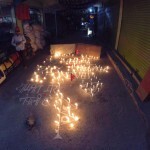 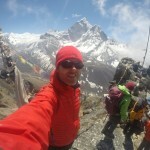 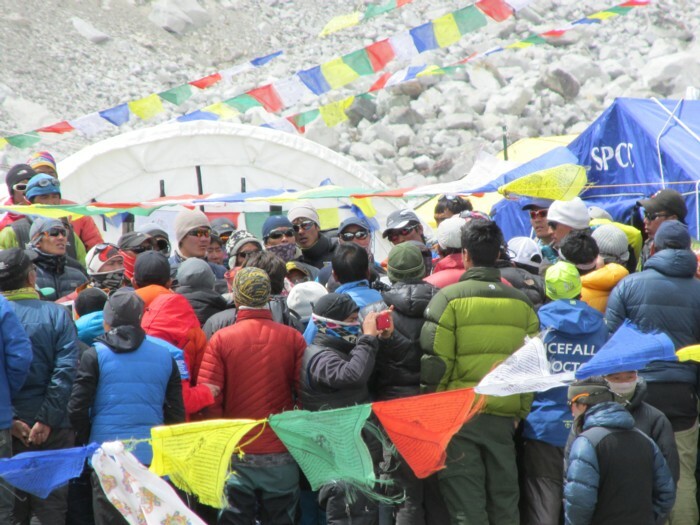 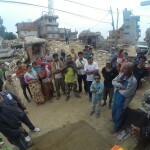 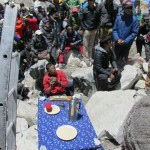 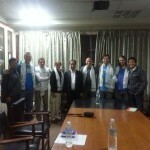 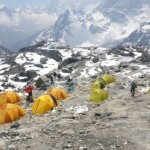 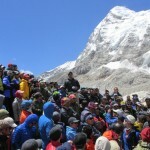 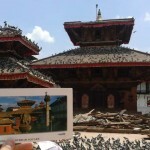 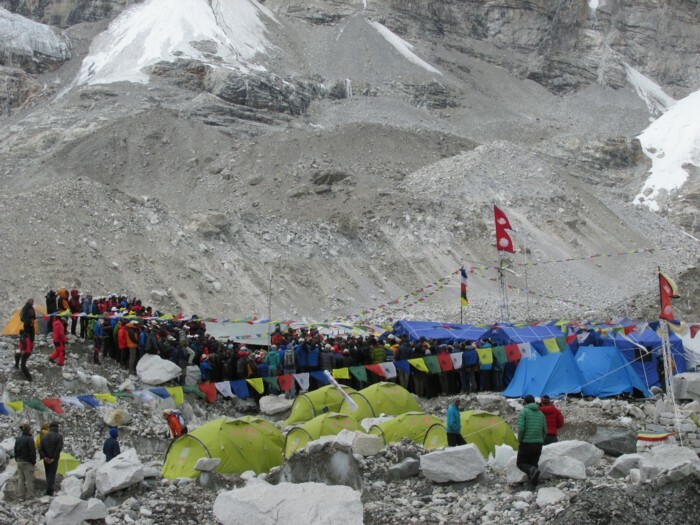 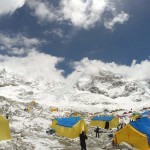 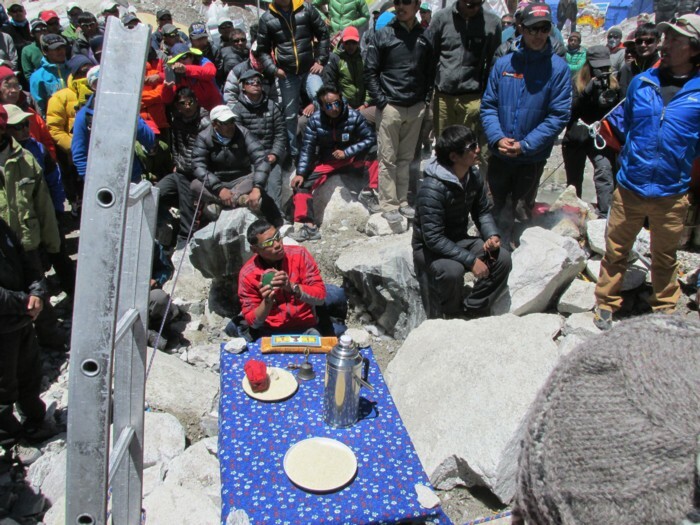 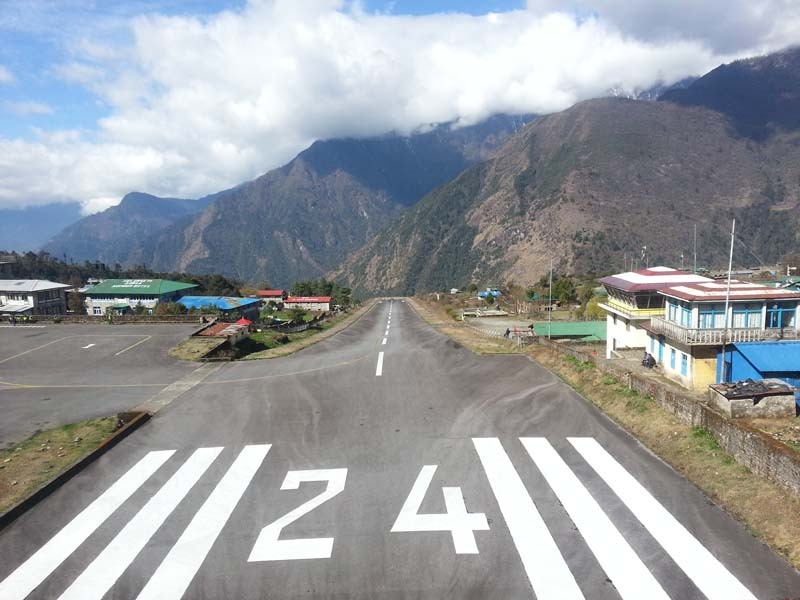 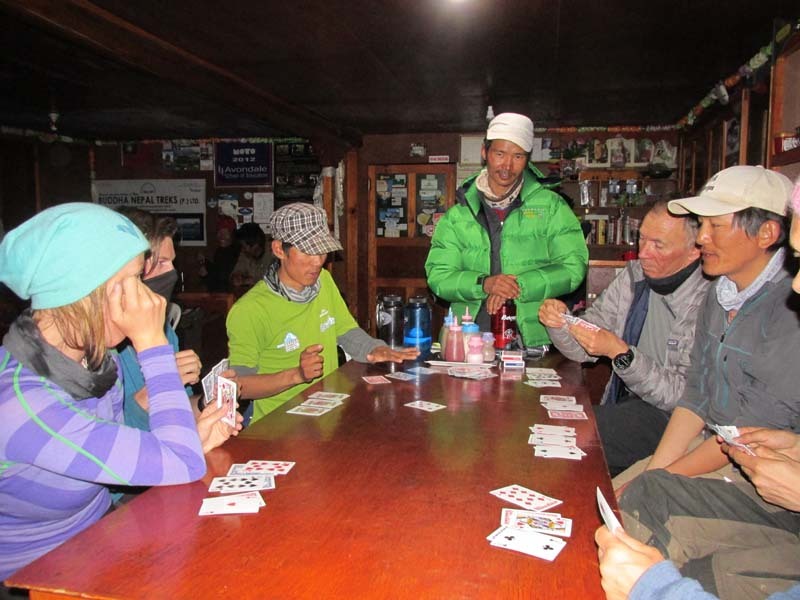 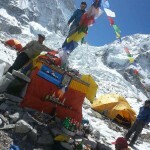 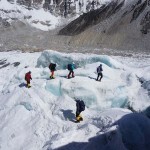 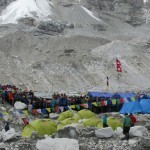 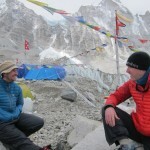 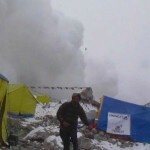 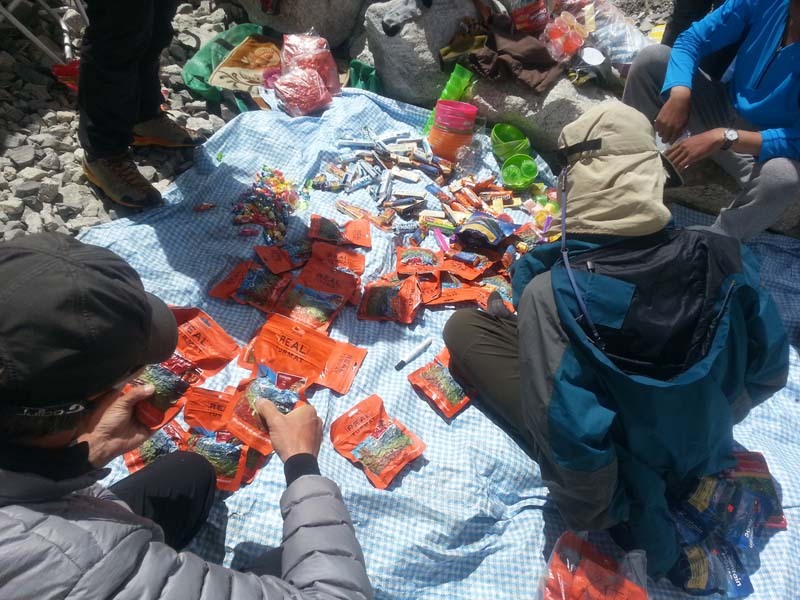 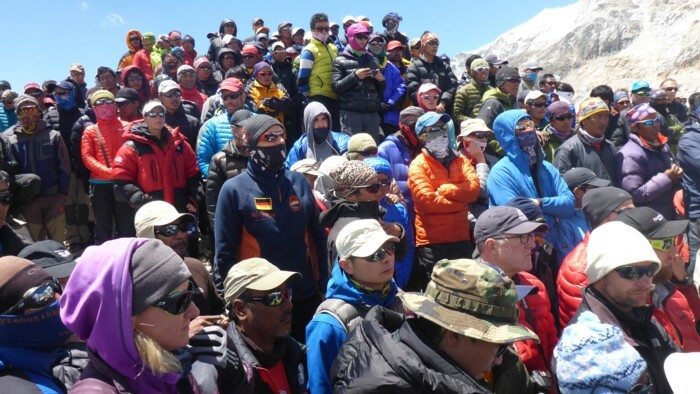 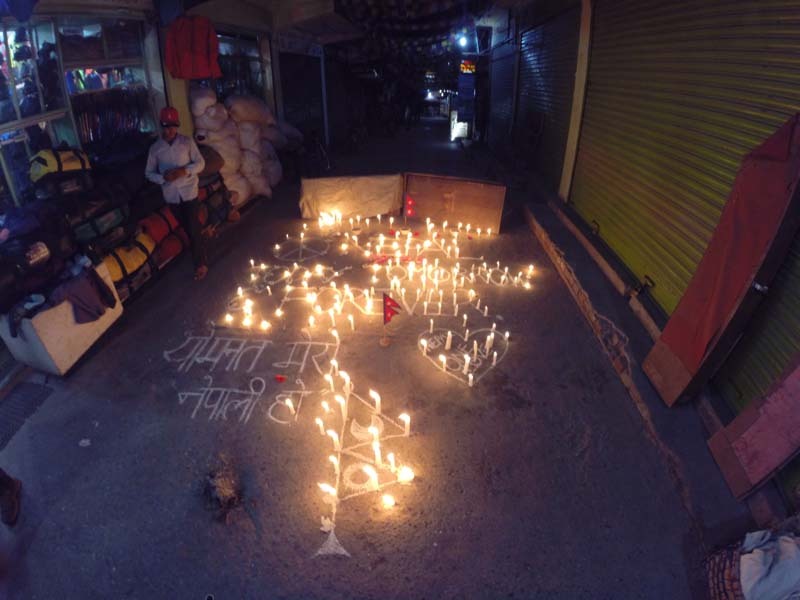 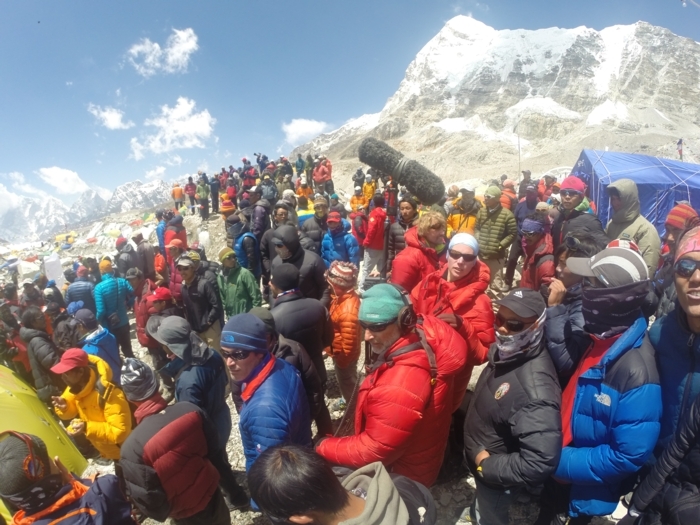 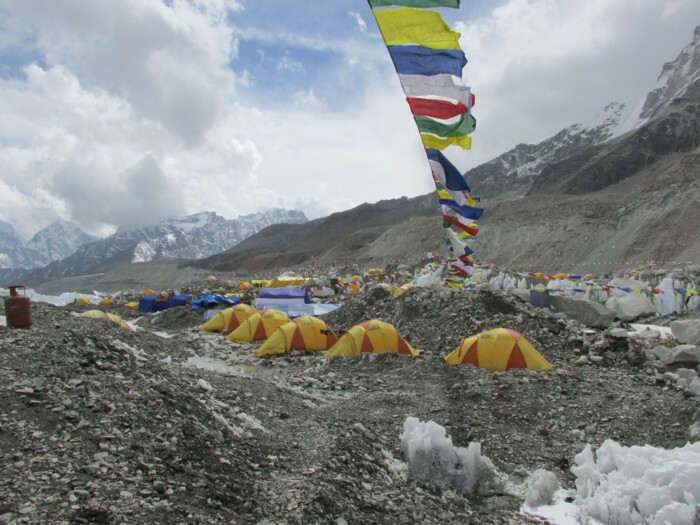 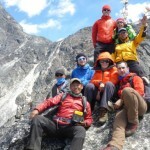 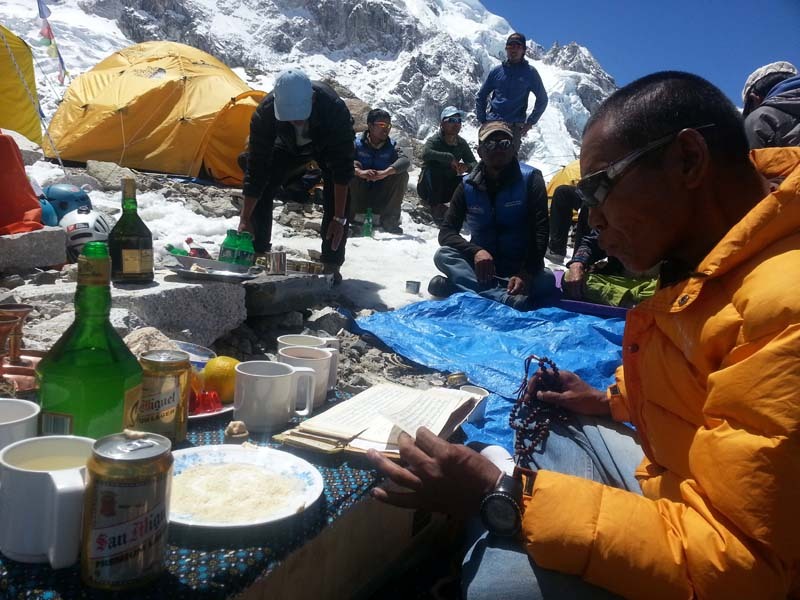 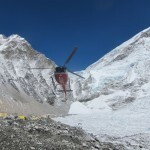 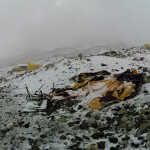 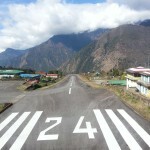 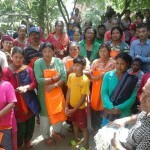 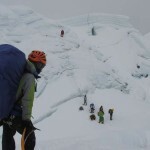 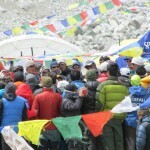 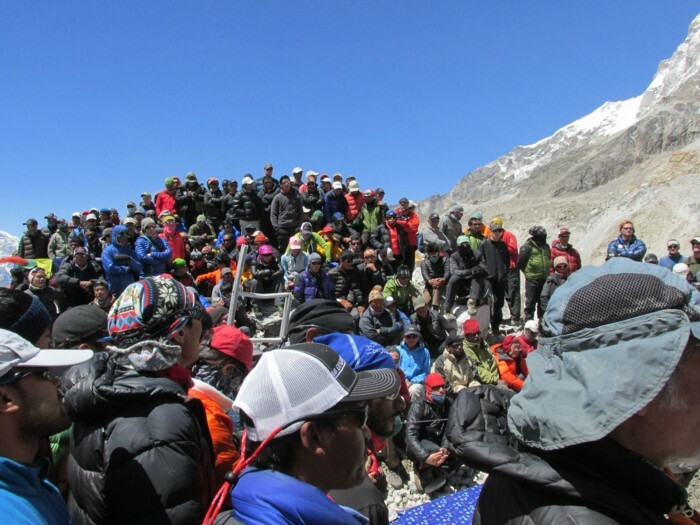 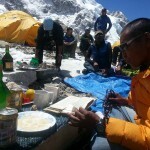 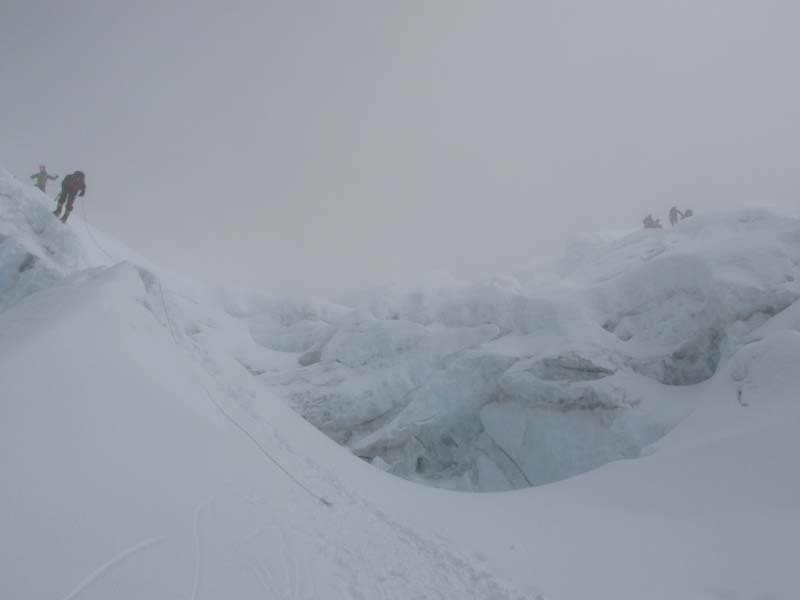 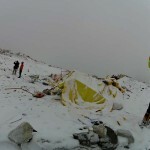 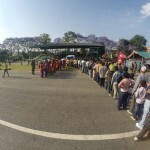 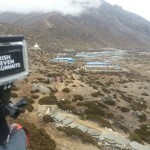 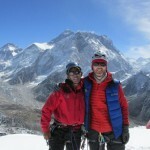 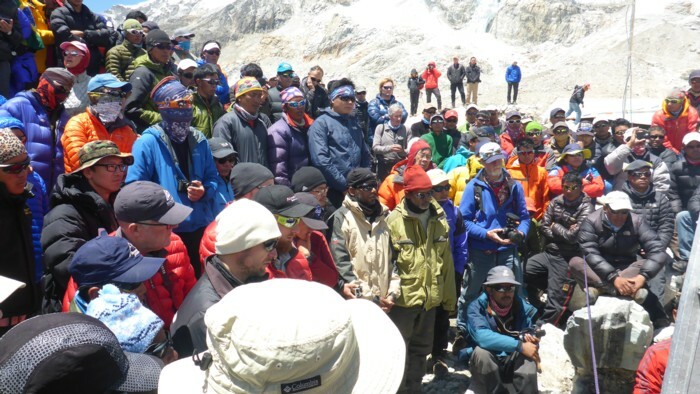 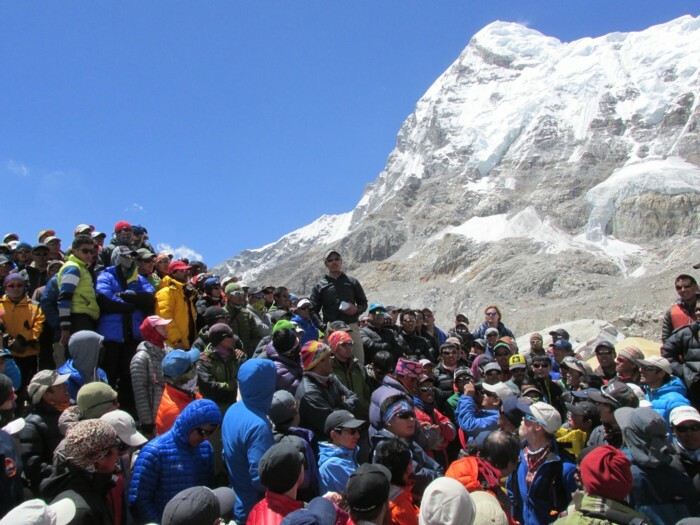 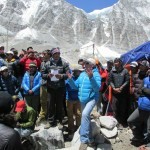 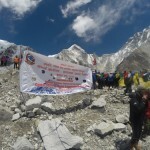 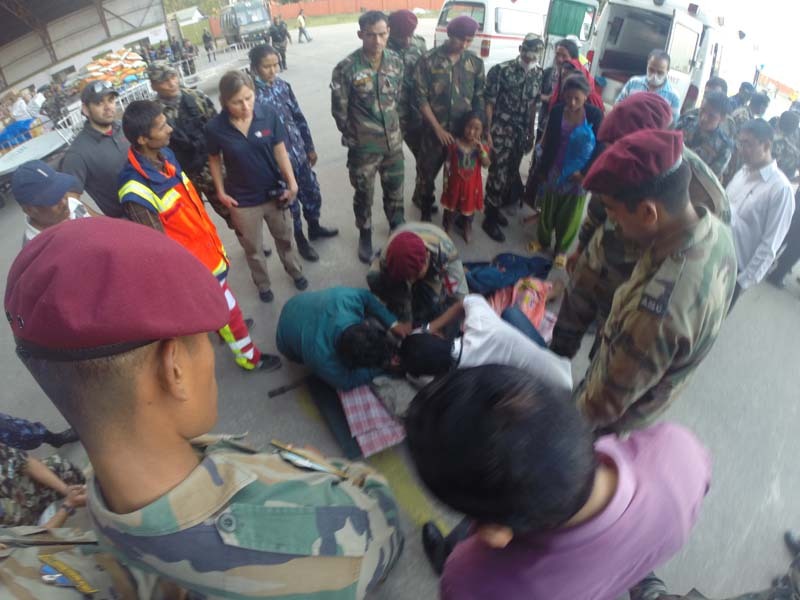 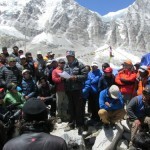 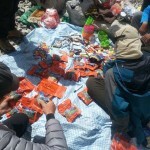 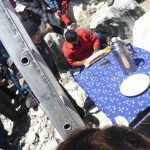 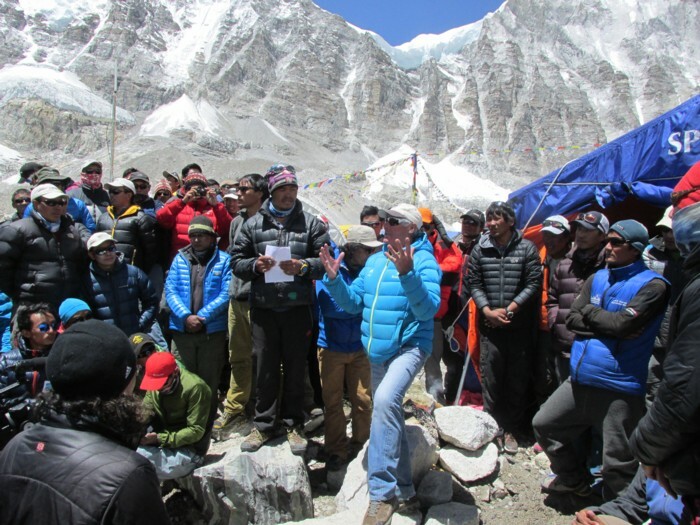 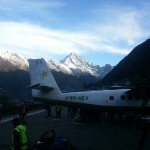 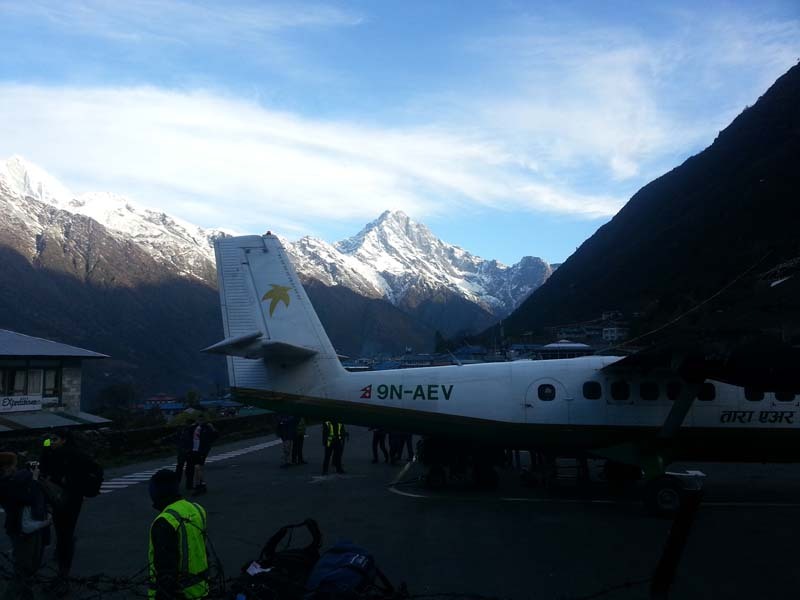 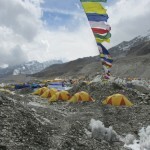 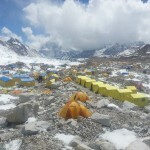 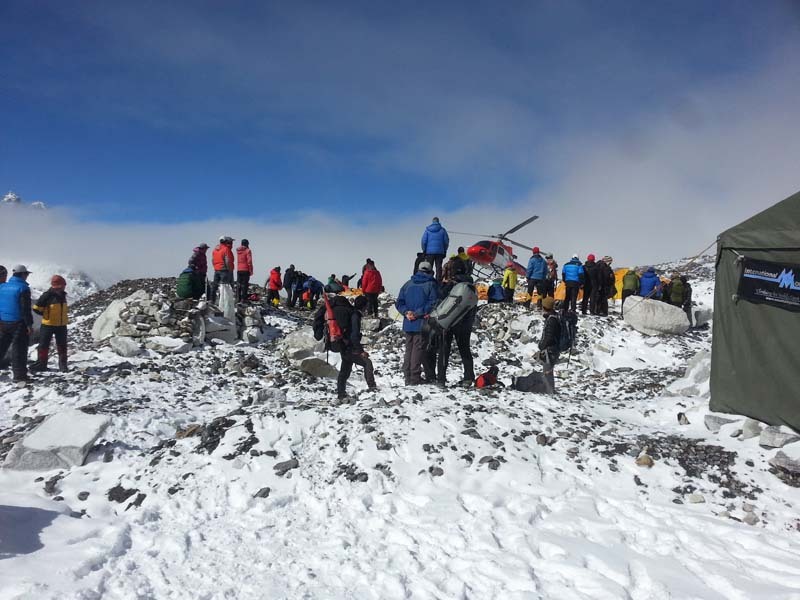 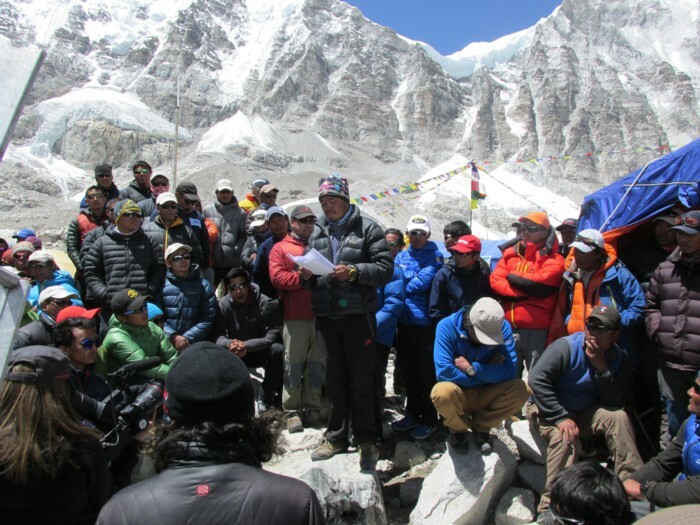 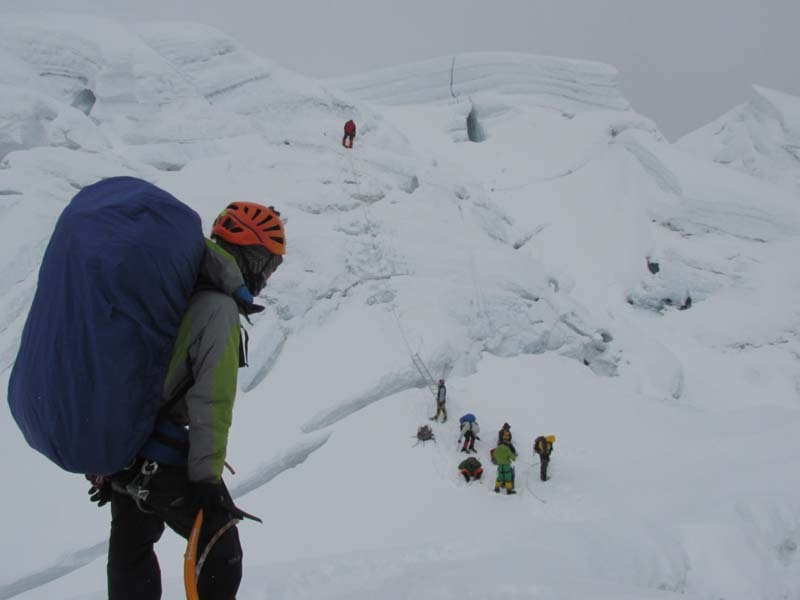 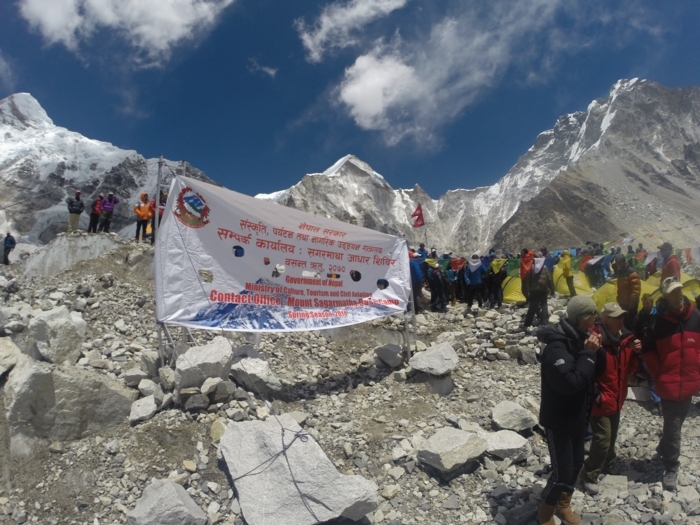 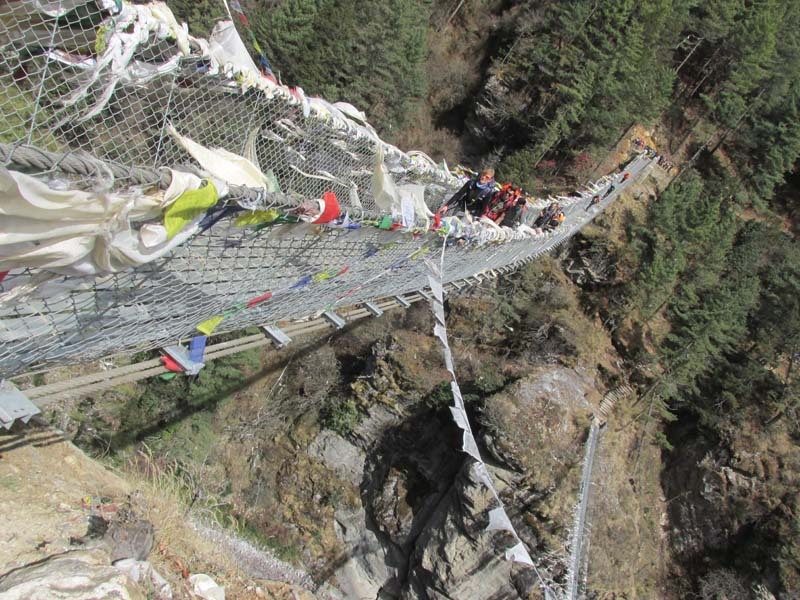 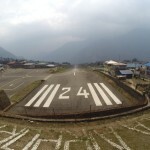 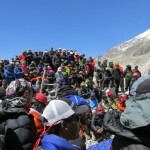 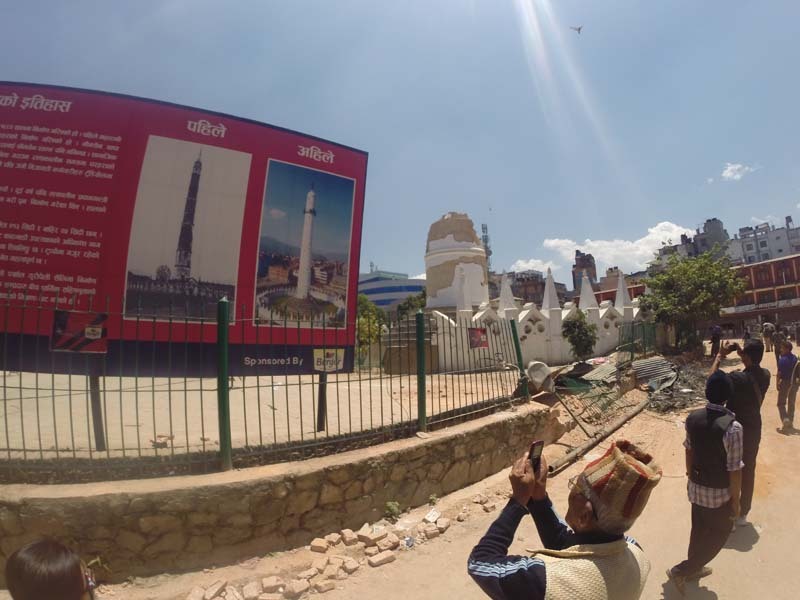 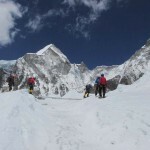 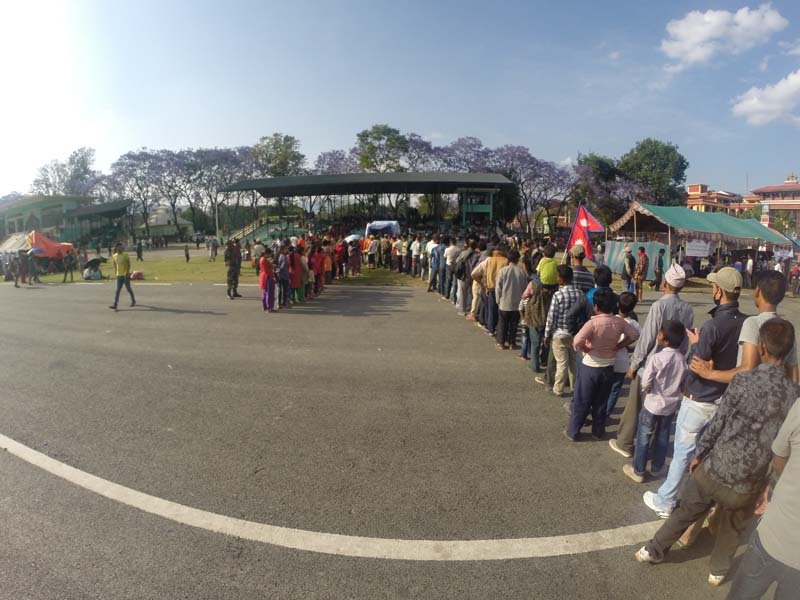 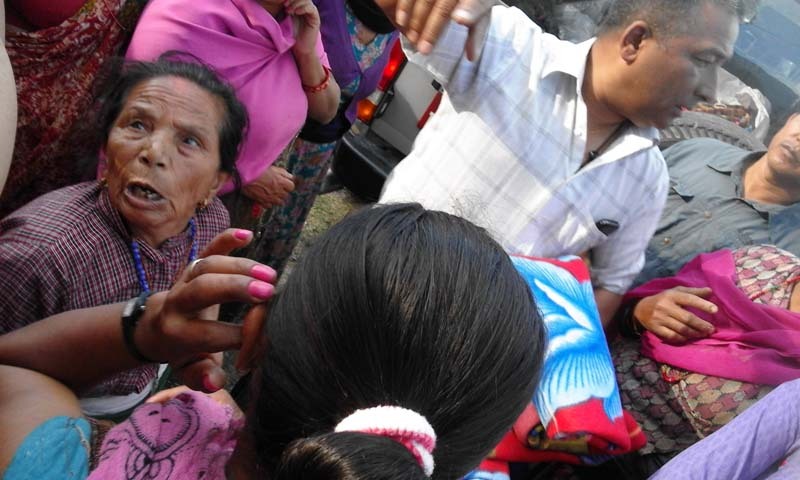 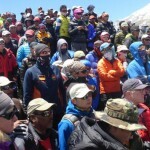 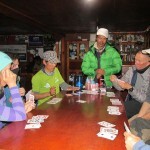 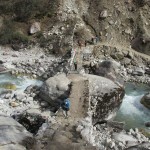 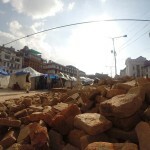 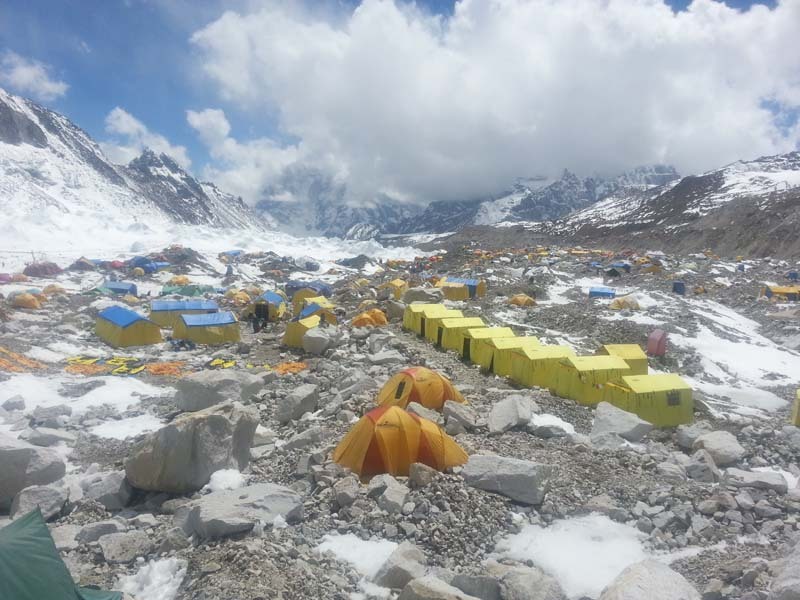 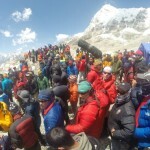 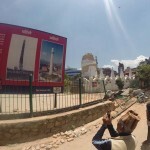 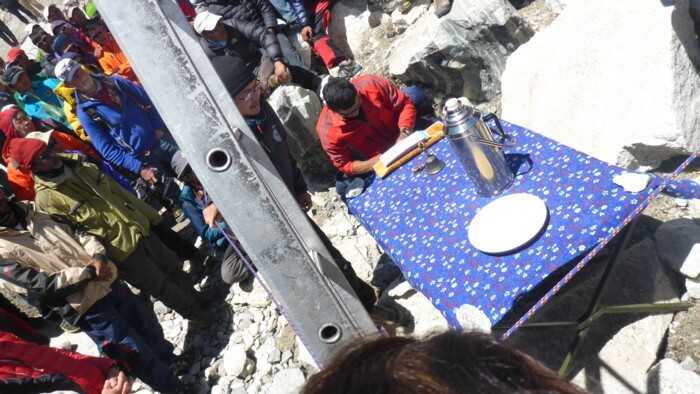 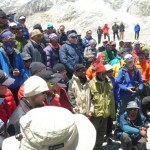 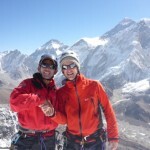 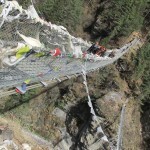 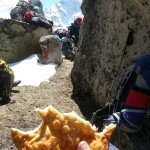 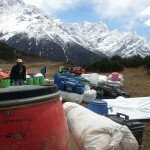 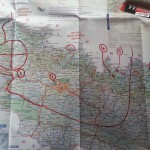 After a week of meetings and standoff, all climbing was stopped on Nepal side following a Sherpa strike.